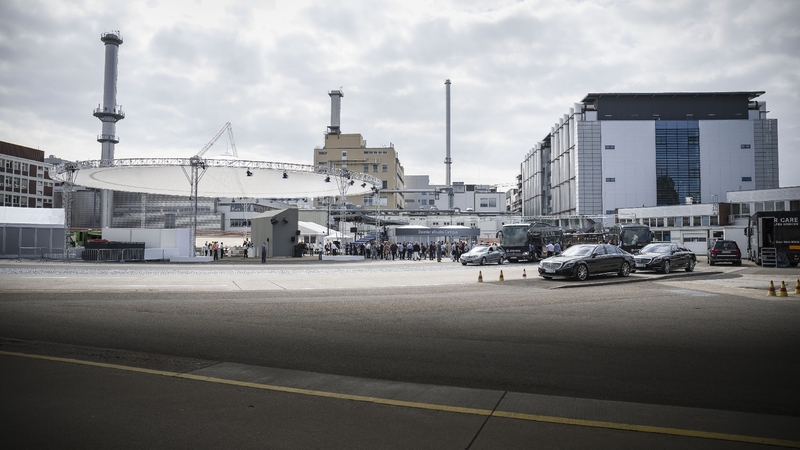 In order to reinforce Daimler AG's technological leadership in commercial vehicles, the press department invited guests to the Linden combined heat and power plant in the heart of Hanover. 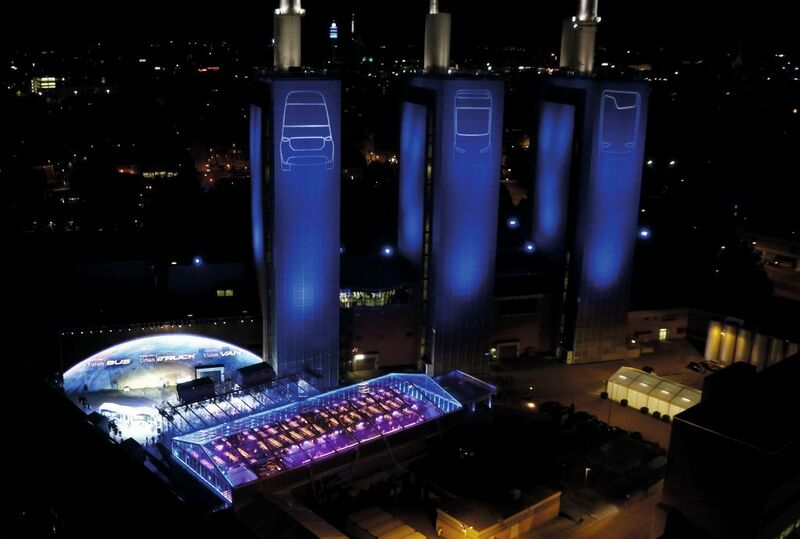 Around 400 journalists from 50 countries found their way to the "three warm brothers" on the eve of the IAA Commercial Vehicles, as the towers of the combined heat and power plant are affectionately called by the Hanoverians. Directly onto the untreated wall of the power plant 46 x 13 meters were projected and the floor was integrated into the show by laser. A drone accompanied the entire event and opened up completely new perspectives not only for the guests on site, but also on all social media channels. The aim was to present the future trio Urban eTruck, Future Bus und Vision Van of Daimler Trucks, Daimler Buses and Mercedes-Benz Vans with the communication focus on e-mobility, autonomous driving and connectivity. 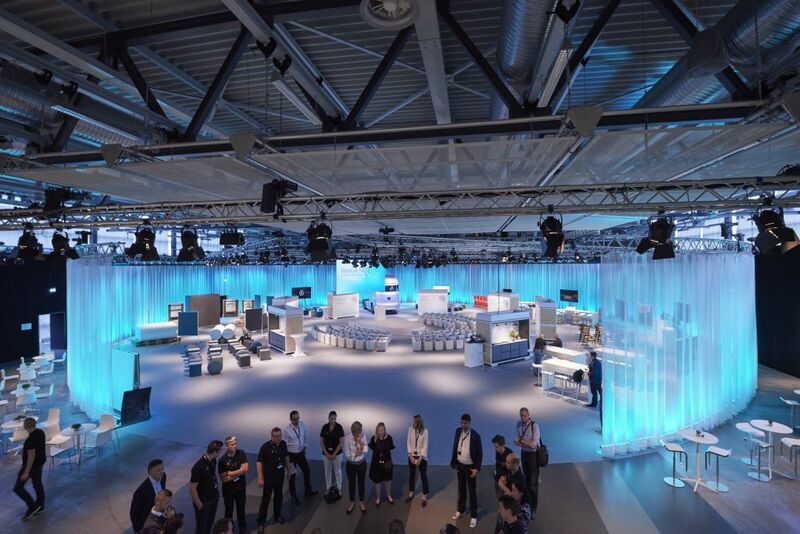 The design concept of the Summit-Event Area reflected the new management principles of Daimler AG and served the networked program as an emotional open platform. 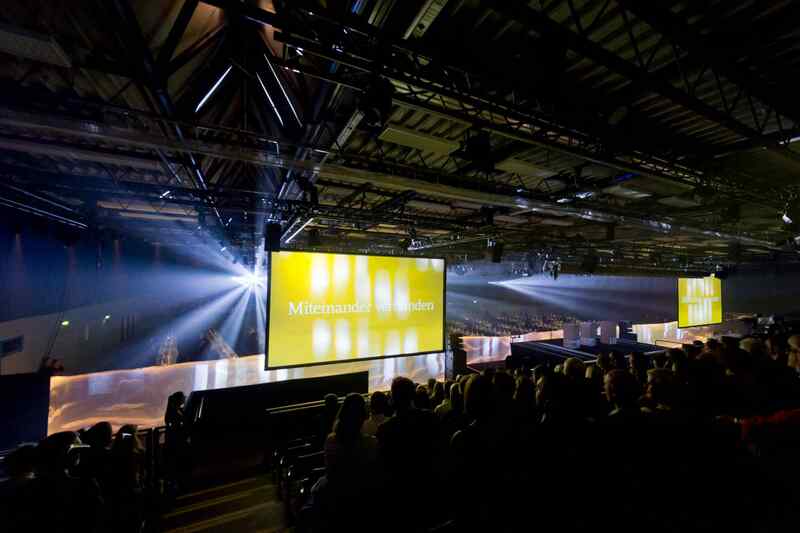 Modules of information and entertainment were held in the style of a silent conference, creating a calm and relaxed atmosphere with large, connecting rooms and wide viewing axes. The WHY-Box acted as a gate into the Leadership 2020 world for the participants. 360° projections visualized the Daimler pioneering spirit of the past 130 years up to the challenges of the new age of digitalization. For the #stepintochange you need the right outfit. In the sneaker big box the participants received change game sneakers in the corporate design colours of the Leadership 2020 campaign. 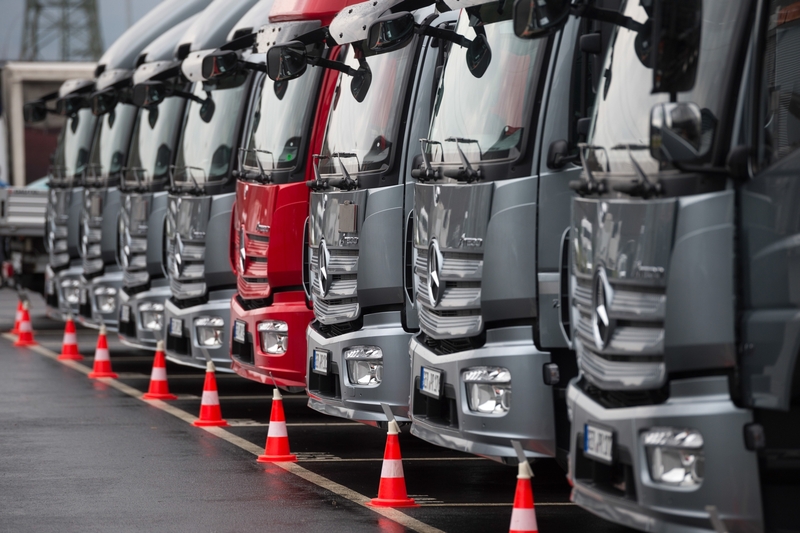 In June Mercedes-Benz Trucks organized a Future Lab at the BIC Wörth for a small circle of selected specialized journalists. 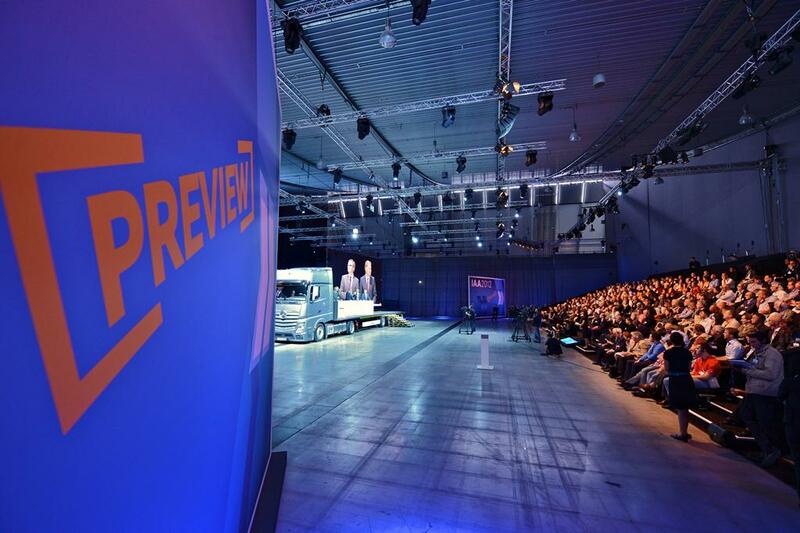 The intention of the press event was to create a different kind of advance communication for the IAA Commercial Vehicles by providing a holistic insight into the current and future developments at Mercedes-Benz Trucks. The biggest challenge was to give the frequently used location a completely new look and thereby underlining the theme of the event. The goal and challenge of the Grow the Network Tour was to effectively network Ambassadors and HR employees. The RedBlue in Heilbronn offered two days of time and space for exchange and active learning. All participants were equipped in their roles with the relevant tools - specialist knowledge, methods, contacts. The result was a group-wide change community of multipliers. 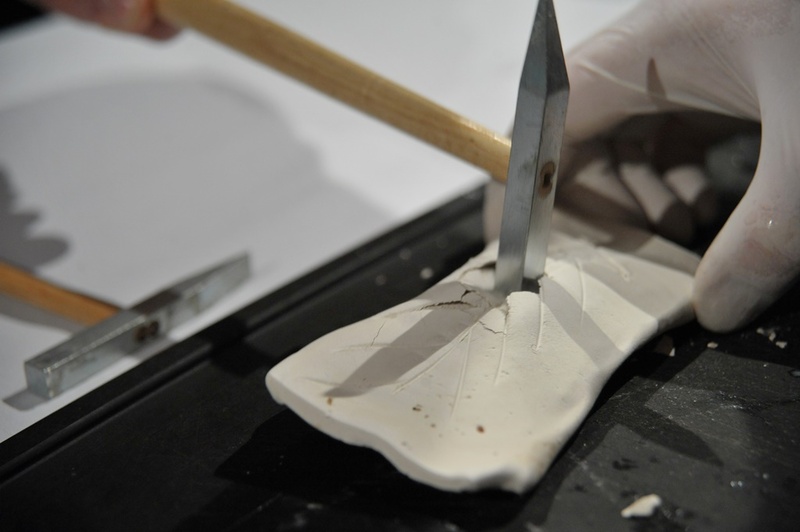 The workshops were held on two levels around the joint plenum. Due to the completely open design of the areas and the plenum as a connecting element between the two floors, the guests experienced the "community feeling" at every point in the room. All areas were visible, and Silent Conference technology enabled guests to integrate themselves acoustically into other workshops at any time during their free time. Foodtrucks and "Brown Bag Lunch" bags allowed a catering concept that was independent in terms of time and space, which also showed the effect of networking at the joint evening event. The great added value for the participants was confirmed by the good evaluation results (at least 4 out of 5 stars in all questions). 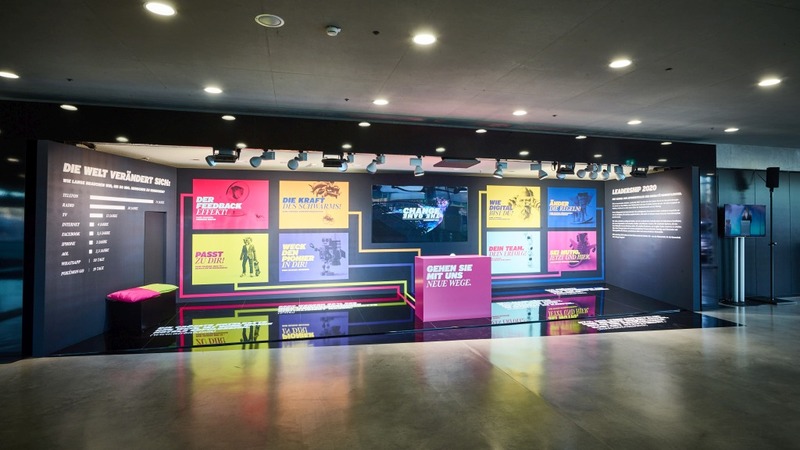 The specially programmed homepage, which was displayed in tandem with the newly developed event app, both the booking tool and the content hub, was visited more than 10,000 times and the content downloaded more than 3,500 times. 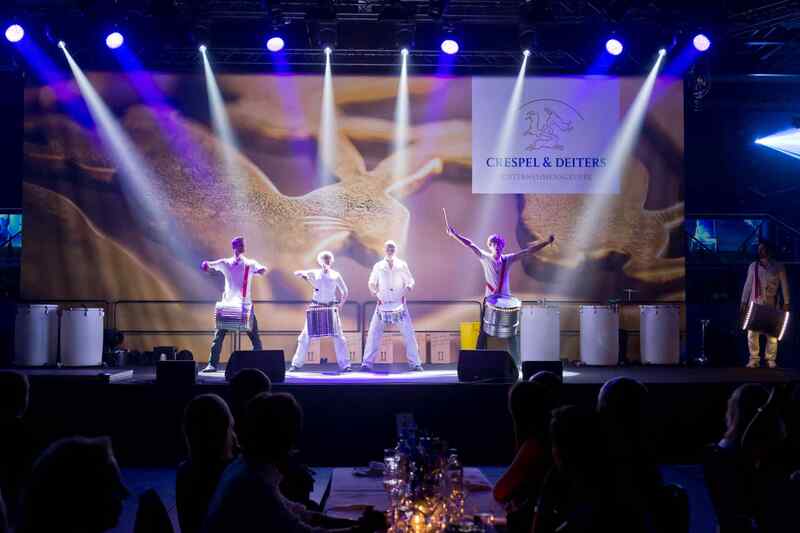 160th anniversary of the Crespel & Deiters Group, Europe's leading specialist for wheat-based products. An entertaining evening event for the employees in the Emshalle/Emsdetten. The event started with a panel discussion, moderated by Jeanette Kuhn, supported by video greetings from all over the world on large-format screens. 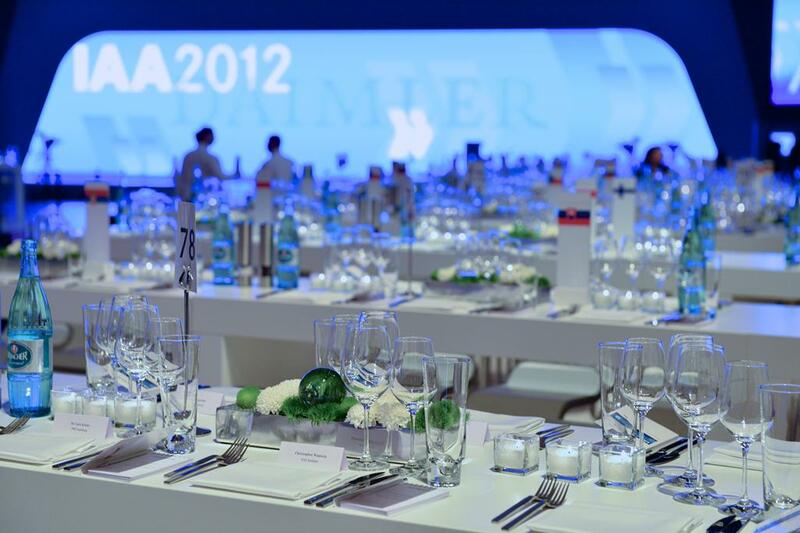 After the official part, the 600 guests changed rooms and were invited to an evening reception here at set tables. 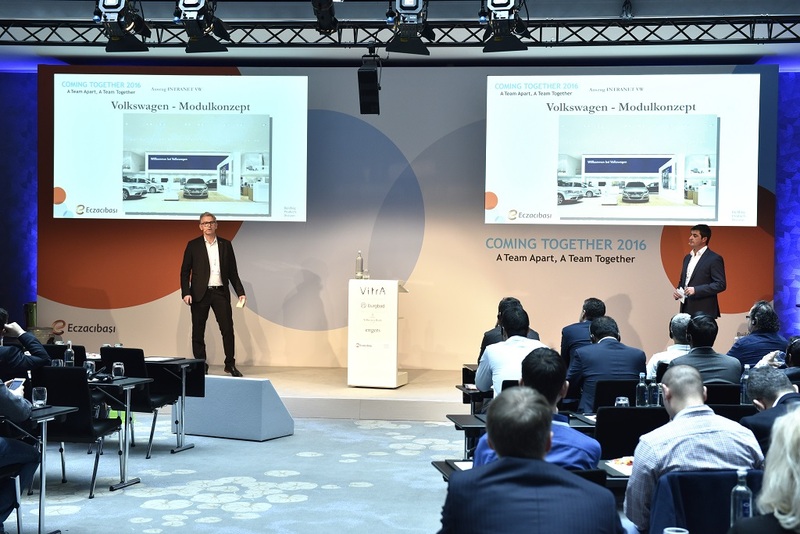 On the day before the IAA 2018 commercial vehicle show in Hanover, 450 international trade and business journalists, bloggers and influencers were invited to the "Hangar 1" location at Hanover Airport. The last time before designating it back to a maintenance hangar it was possible to use this exclusive location. Meticulously planned and embedded in the Actros reveal film, our hero drove an unveiling from the nearby motorway to the hangar. 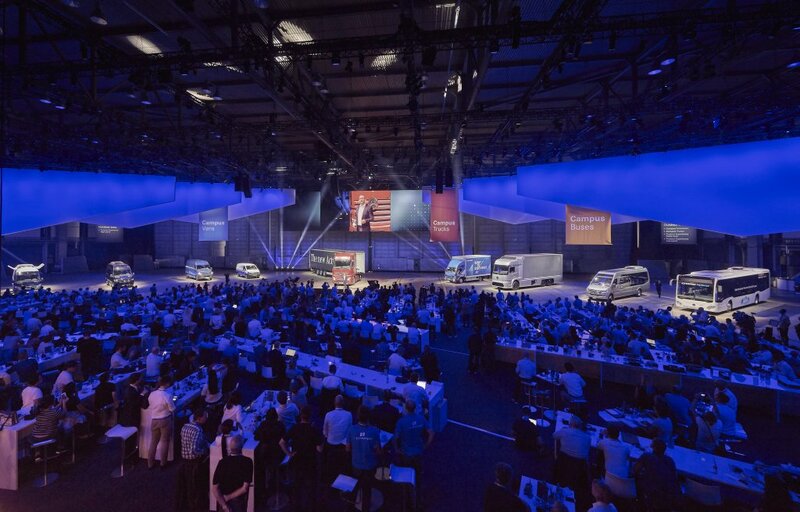 On the scene area in the hangar, the product portfolio of Daimler Trucks, Daimler Buses and Mercedes-Benz Vans was spectacularly unveiled in a dynamic driving presentation at the opening of the product experience. 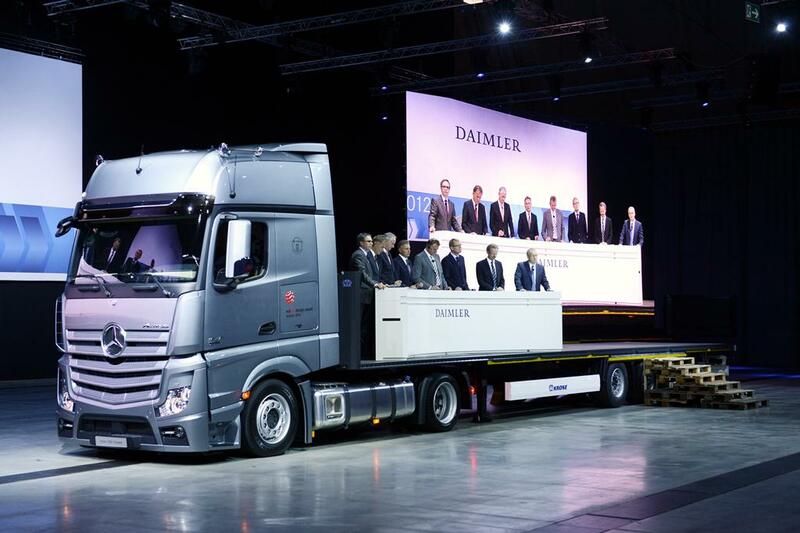 Daimler AG invited 650 guests from the international trade and business press as well as customers of the sales department to a two-day event in Hall 45 in Mainz. 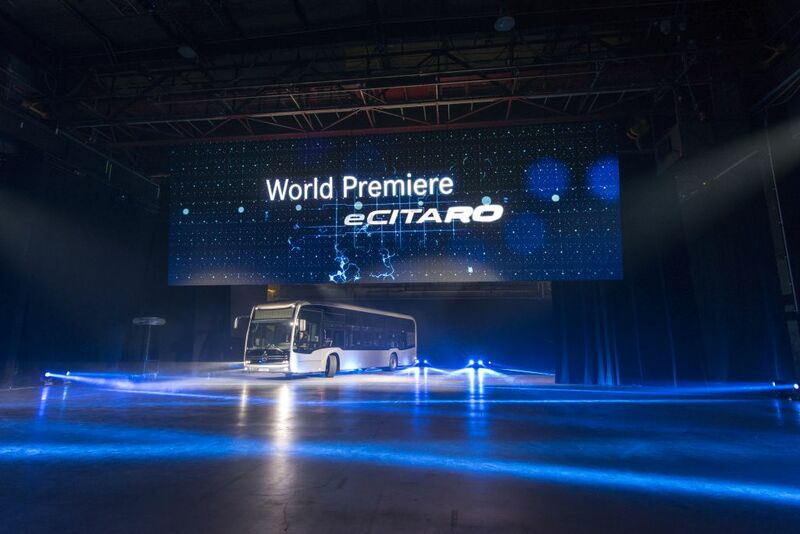 The focus was on the world premiere of the new all-electric city bus Mercedes-Benz eCitaro. The new eCitaro was presented in an impressive "ePowerPerformance" between two high-voltage coils. The 22 meter wide mobile LED wall, which could move forwards and backwards as well as vertically, supported the dynamic Reveal show. Over two days, 190 employees were sworn into the new guidelines and workflows of the departments. 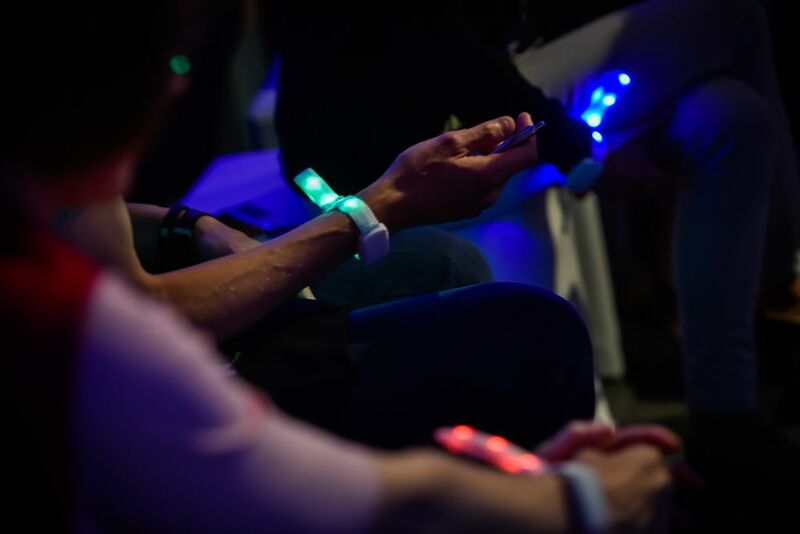 The guests were guided to their workshops and breaks with programmed, time-controlled LED ribbons. Management Board members and keynote speakers from the Digital and Leadership divisions showed ways in which change management can also function in the traditional areas of the Group. 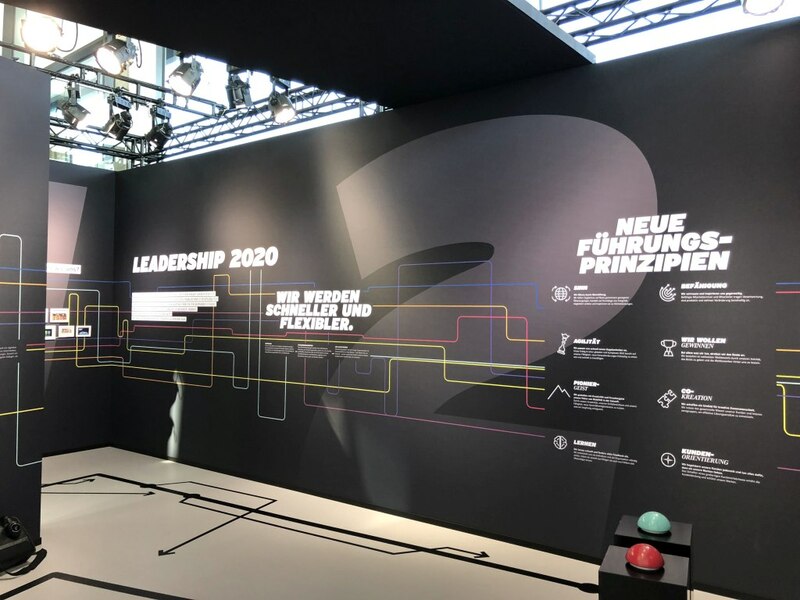 At the Daimler annual general meetings, we are responsible for designing the exhibition booth of the Leadership 2020 initiative. 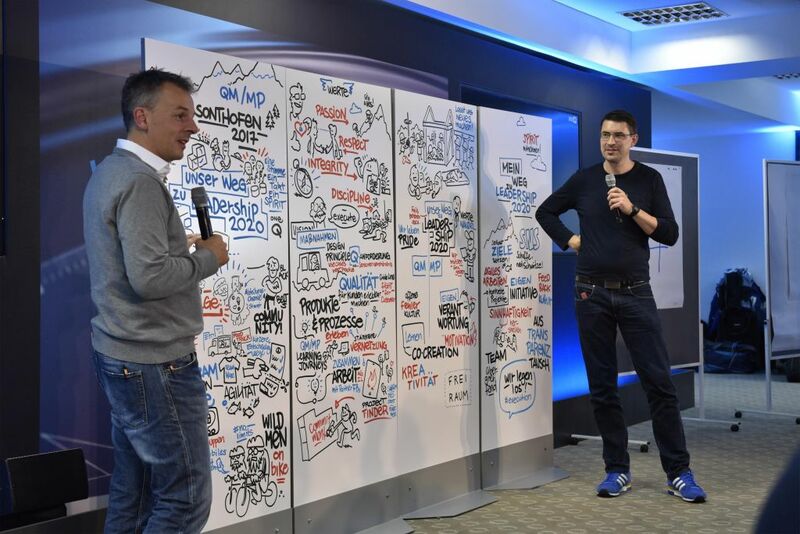 In October 2017, the Quality Management department at Mercedes-Benz Cars held an employee retreat under the motto "Our Way to Leadership 2020". The newly introduced/lived structure L2020 of the parent company Daimler was to be brought closer to the QM/MP team in an interesting and eventful way and the implementation in our own ranks was to be stimulated. After arriving in Sonthofen, at the Hotel Allgäu Stern, a percussion workshop followed, which, apart from fun and relaxation, was above all intended to strengthen the sense of togetherness and the community of the department. Afterwards there were informative lectures and intensive teamwork in small workshop groups. 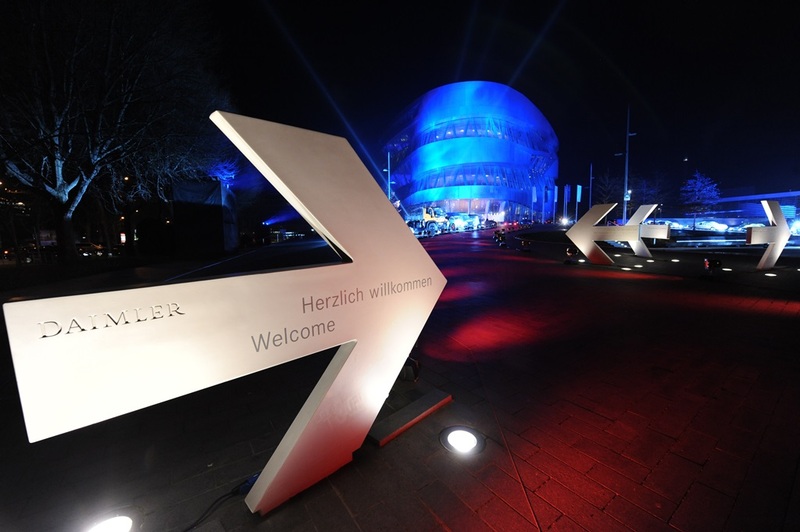 In January 2016, Daimler AG launches the global change management initiative "Leadership 2020" with a kick-off in Stuttgart. For this purpose, 144 executives were recruited in a worldwide "bottom-up" process. Over two days, eight working groups worked together with all members of the Board of Management on the future of the company. The aim of the campaign, which is to run until 2020, is to jointly develop the company further and adjust it to the growing challenges of the constantly changing market. Tissues are called "Kleenex", adhesive tape is "Tesa" – transporters with a total weight of approximately 3,5 tons are called "Sprinter". 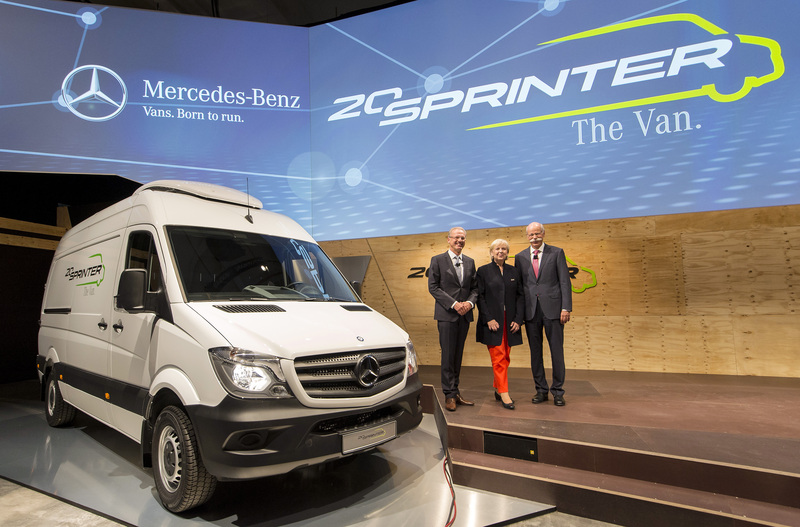 At the Düsseldorf plant, the Mercedes-Benz Sprinter recently celebrated its 20th anniversary. 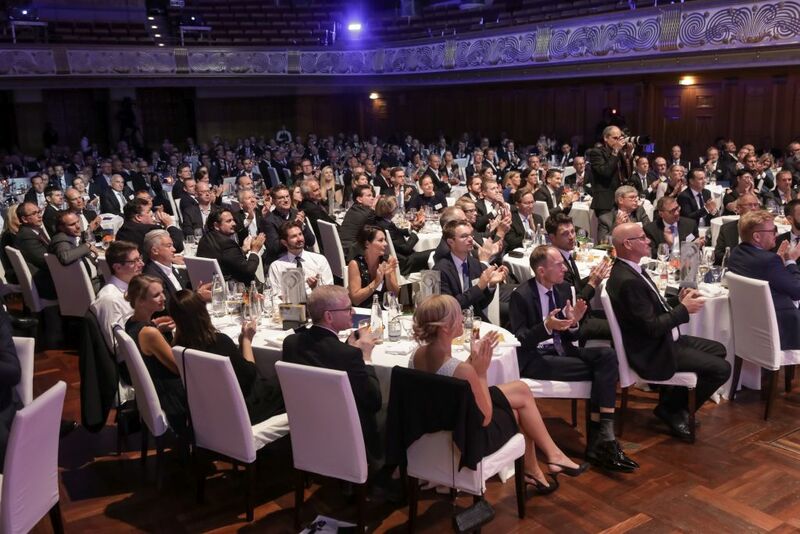 For the official ceremony, more than 250 guests from the worlds of politics, business and the media attended, as well as employees from the six global Sprinter production locations in Germany, Argentina, China, Russia and the USA. Following the official part of the event, all guests were invited to take a guided tour with the entire Sprinter range, starting with the first historical model up to the current Sprinter version. As part of the 35th anniversary of the G-Class, an exclusive circle of 350 guests from the Chinese market was invited to Graz for four days. 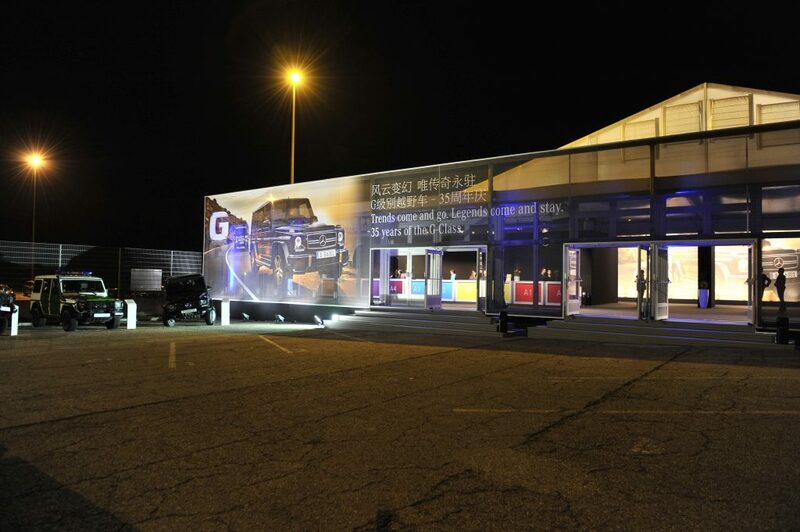 On the site of the MagnaSteyr plant, the headquarters of the G-Class production, a 3,000 sqm tent formed the main location of the event. The four-day programme included three high-quality evening events, off-road experiences on the southernmost peak of the Schöckl mountain range in Graz, demonstrations and self-driving on the off-road test track and a factory tour including audio commentary in a golf car column. An integrated auditorium provided the platform for official and presentations. The two-part stage became a stage for festive speeches and entertainment in the evening. The aim was to take advantage of this unique opportunity and get the Chinese Mercedes-Benz colleagues, investors and dealers interested in the vehicle. 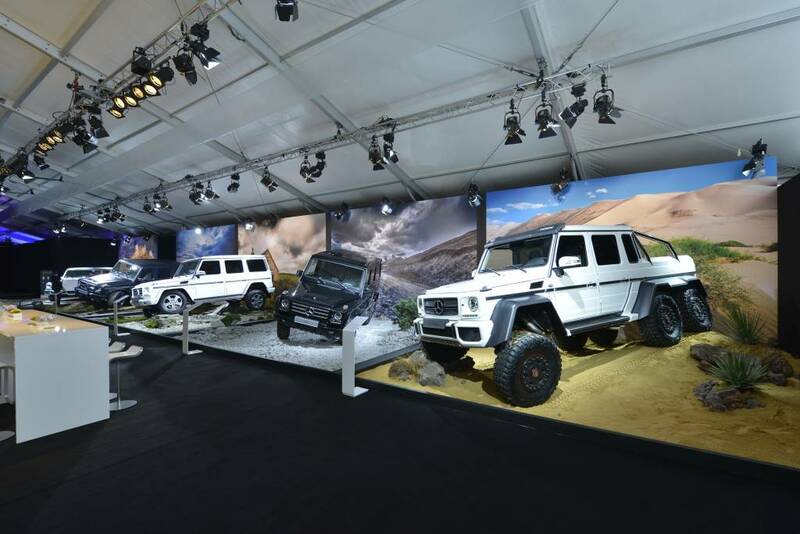 The majority of the participants had heard nothing or not much about the G-Class before the invitation to the event and thus had an exclusive look behind the scenes. Every day approximately 35 international journalists were invited by Mercedes-Benz to participate in the event "discover distributed & collect" over a period of 14 days to Frankfurt by Mercedes-Benz. After a preceding press conference and a dinner in the design hotel Roomers, journalists had extensive time to test the new Mercedes-Benz Atego, the Mercedes-Benz Antos, the Mercedes-Benz Econic and the Fuso Canter eco hybrid in the real environment of distribution transport. Here both, city rides and overland, on different routes, suitable for the respective type of vehicle, were carried out. The new Mercedes-Benz commercial vehicle centre, Frankfurt Rhein/Main served as the base station. The technical aspects of the product were communicated in thematic workshops. Daimler did it! 40t driving autonomously at 85 km/h. 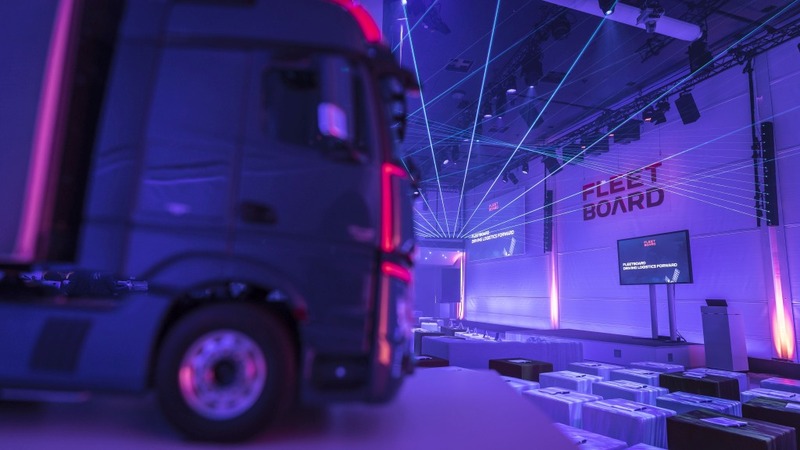 450 international journalists and representatives of the German business press witnessed the world’s first autonomous drive of a truck. Embedded in a realistic convoy of 23 motor vehicles part of the autobahn yet to be opened up to public traffic close to Magdeburg, Germany. The journalists experienced simulated traffic situations, such as stop & go, sudden traffic jam, corridor for emergency vehicles and stranded vehicle. 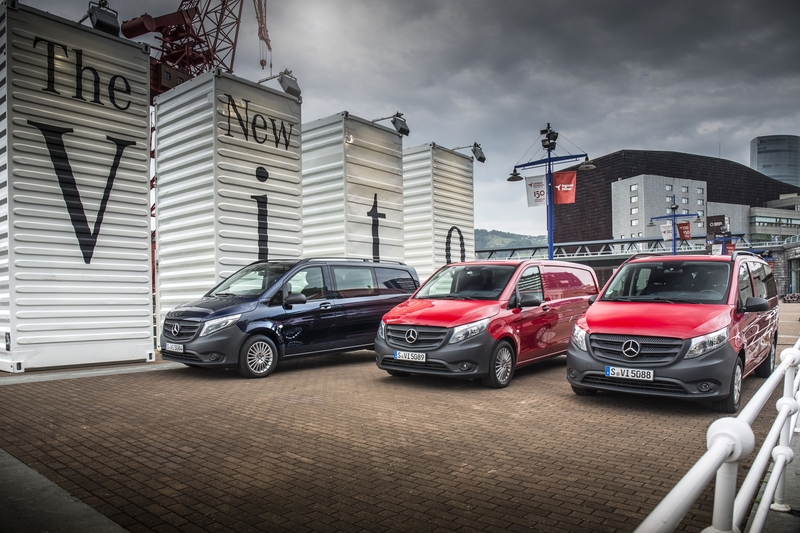 The press driving event of the new Vito was held in the northern Spanish city Vitoria, home of the Vito. 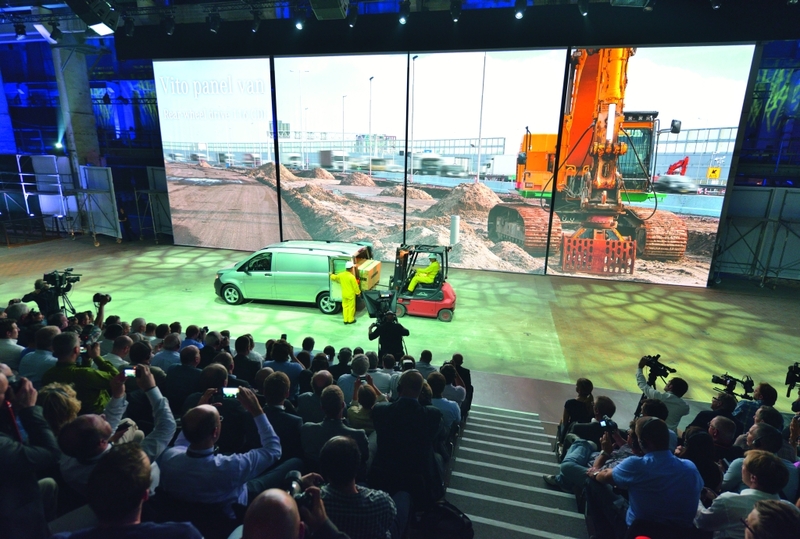 More than 200 international journalists during the period of a total of two weeks had the opportunity to test the new Vito on efficiency, quality, versatility and safety in real-life conditions. Specifically, routes aimed at the different drive concepts and applications, led journalists on a total of 250 kilometers to the production site of Vito. 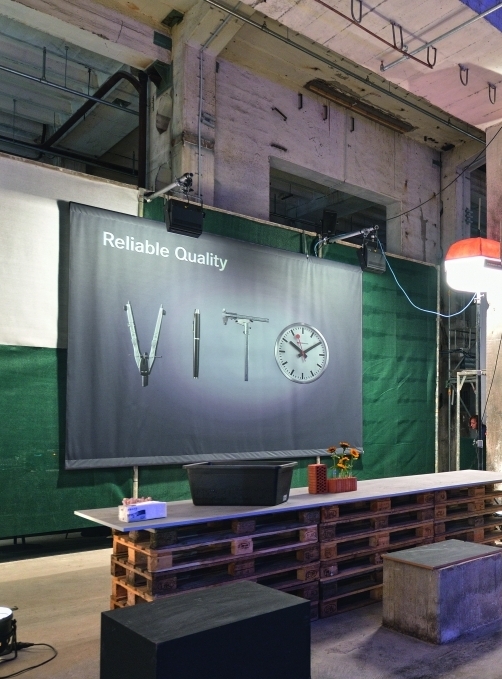 A special highlight: the guests, at any time during the event, were always moved by the new Vito. In the subsequent press conference and factory tour, the product features were visualized and conveyed ostensively on the vehicle and in keynotes. 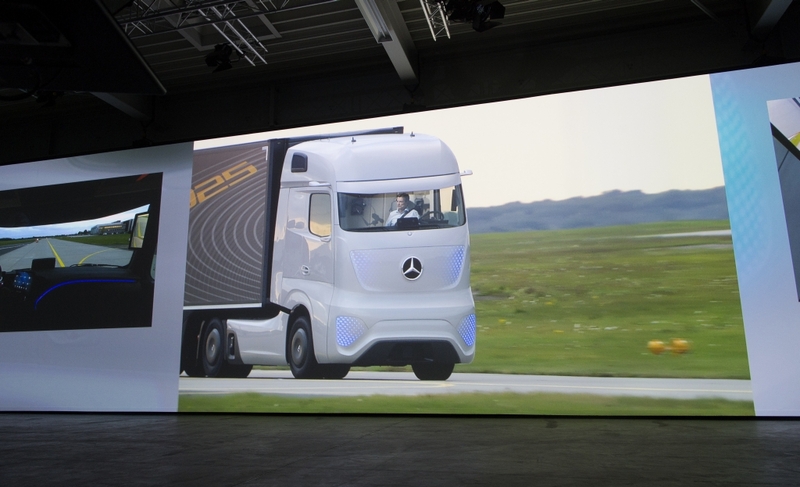 The largest trade fair highlight Daimler was presented on the eve of the first press day in a very special setting: the Mercedes-Benz future truck 2025 ran autonomously on a runway of the airport of Hannover. In the driver's cab: Dr. Wolfgang Bernhard, Board member responsible for Daimler Trucks & buses. The Ezcasibasi Group, the sixth largest manufacturer of sanitary ceramics in the world, invited its brands Burgbad, VitrA, Engers Keramik and Villeroy & Boch Fliesen to a kick-off meeting in 2014 and 2016. The aim of the event was to use the diversity of the individual brands for the first time as added value for the umbrella brand. 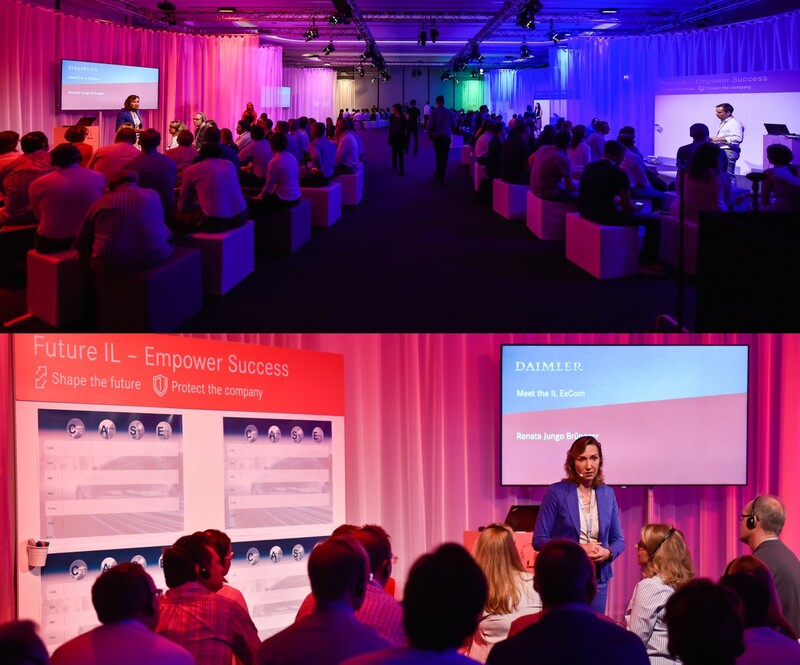 100 employees met in the Hotel Hyatt to work out perspectives, strategies and goals in a one-day conference. 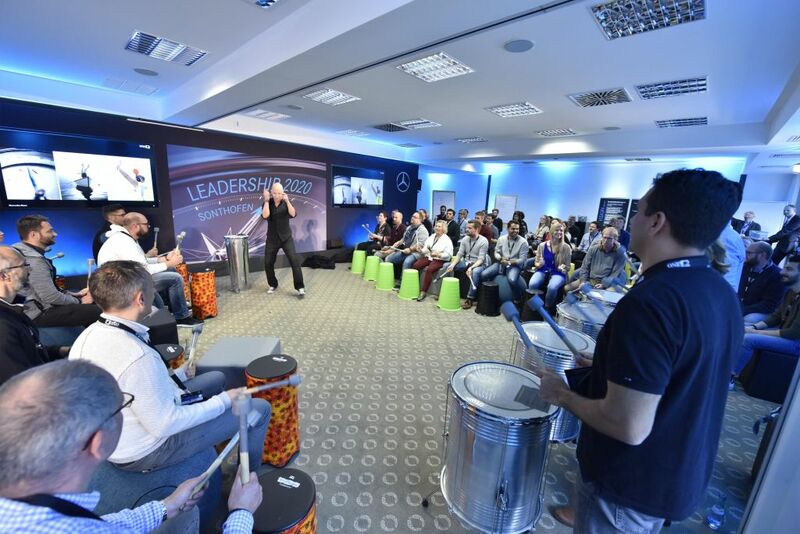 To strengthen team spirit and increase sustainability, all employees of the individual brands took part in a drum workshop in 2014 and an interactive "Ezcasibasi Song" workshop in 2016. 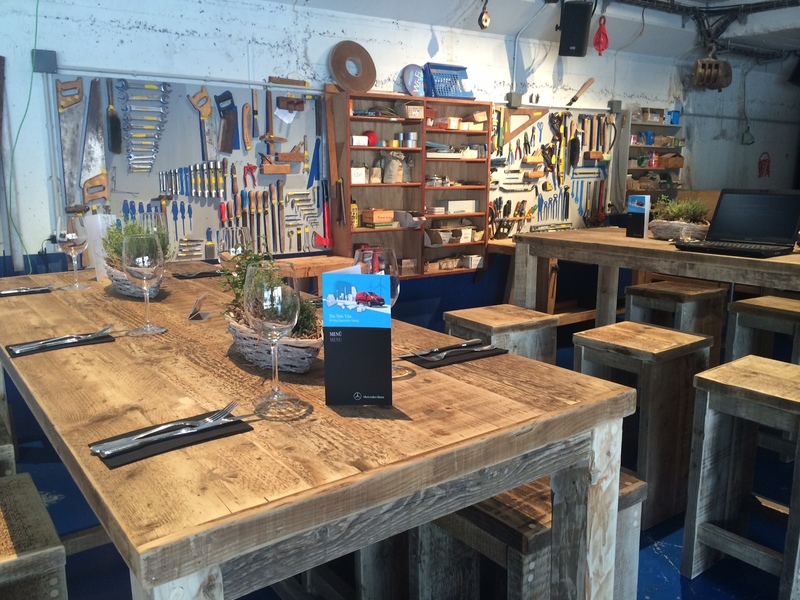 At a networking party, the day ended exclusively in the nearby restaurant. 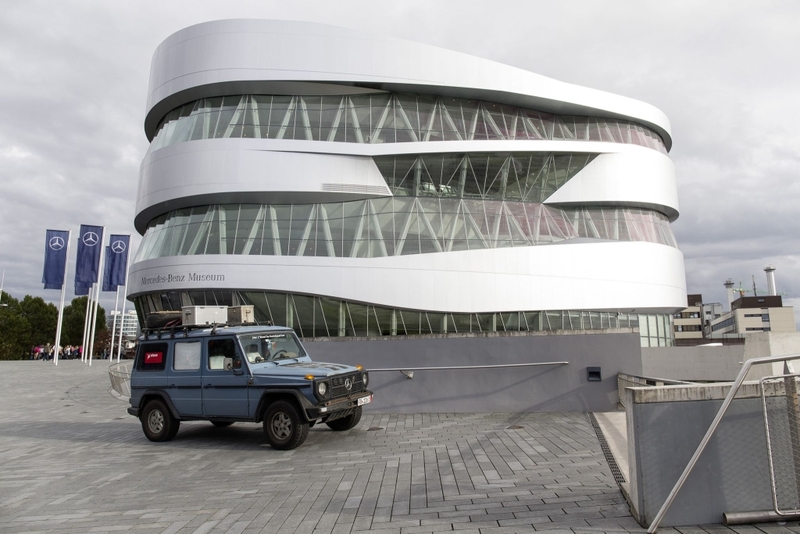 In the setting of the 35-year anniversary of the G-Class the celebratory handover of Gunter Holthorf’s G-Class to the Mercedes-Benz museum took place. The location was an adjacent branch office of Mercedes-Benz. The ceremonial act was represented by Dr. Dieter Zetsche. 250 Guests of the G-Class clubs were invited. In 26 years Mr. Holthorf visited 215 countries and put 900.000 km on his G-Class vehicle, “Otto”. After an emotional entry of “Otto” an impressive presentation of the vehicle took place. The staging of the vehicle handover was bookended by a first-class entertainment program. A top-quality dinner jazz band, alongside a speedpainter and the lecture Mr. Holthorf gave were the highlights of the celebration. World premiere for 400 guests of the international trade press. The “Kraftwerk” in Berlin was the bare brickwork backdrop. The various elements of the venue, the former heating plant “Mitte” - part of Berlin’s industrial heritage. Here Vito’s claim “The Vito comes when the bare brickwork is done.” Could be perfectly interpreted. 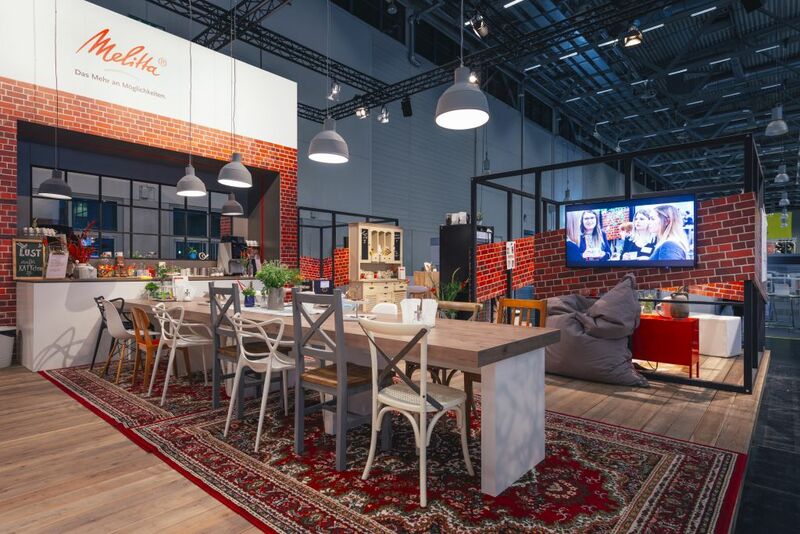 Industrial materials like wooden pallets, portable floodlights, mobile scaffold and mesh fabric presented the consistent style idea across all levels of the event and in the workshop areas. Stylized tools or goods in transit formed a special typography, suitable for the respective core benefit of the models. 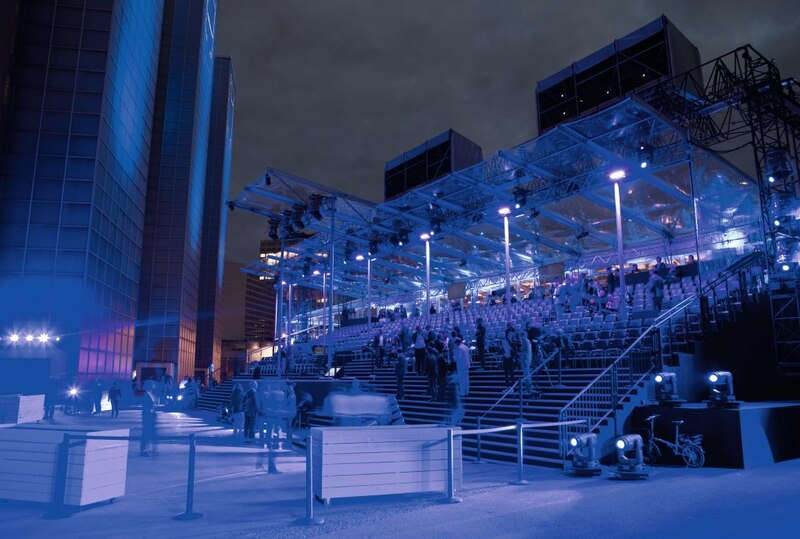 The staging area with a rustic seat grandstand, moving screens, which were part of the scenery by medial performance was the presentation area for the world premiere. The first official appearance of the Vito consisted of a nuanced choreography with 10 vehicles and dramaturgically moving scenes from what the Vito encounters every day. At the wheel: craftsmen, taxi drivers, beverage distributors, garden landscape farmer & co. Goods and actors were on- and offloaded and transported dynamically in the Vito through the scenery. 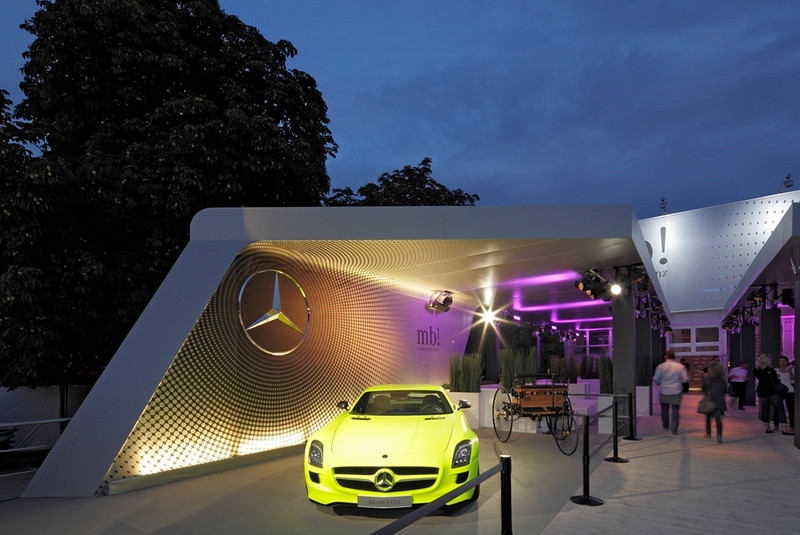 The evening ended in the elegant dining area, in the style of Mercedes-Benz. This graduated the successful staging of the Vito in the middle of the shell construction, and led the guests back to their own world of business. 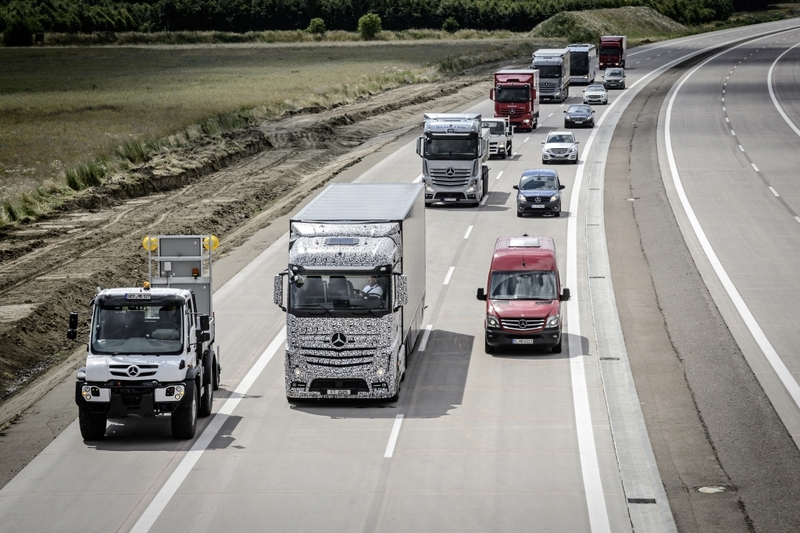 Mercedes-Benz concluded the Euro VI offensive with the presentation of the premier class of heavy trucks. 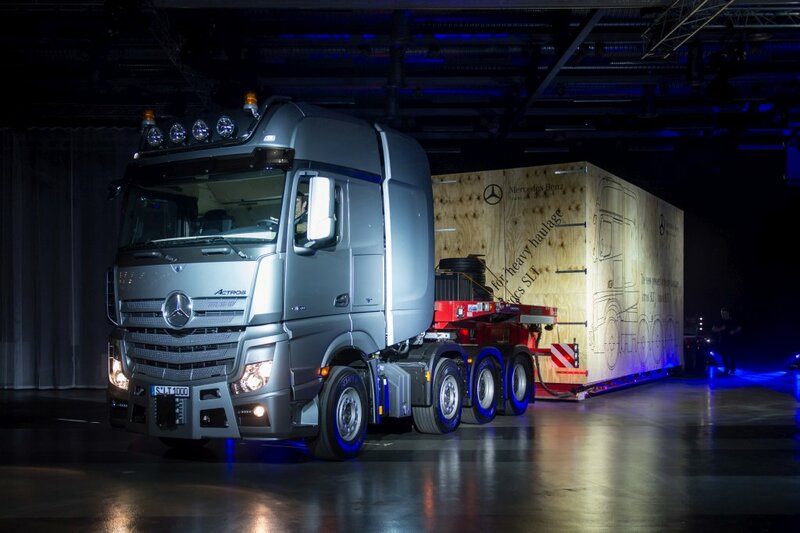 A two-day event provided the setting for the world premiere of the two heavy-duty trucks Actros SLT and Arocs SLT. 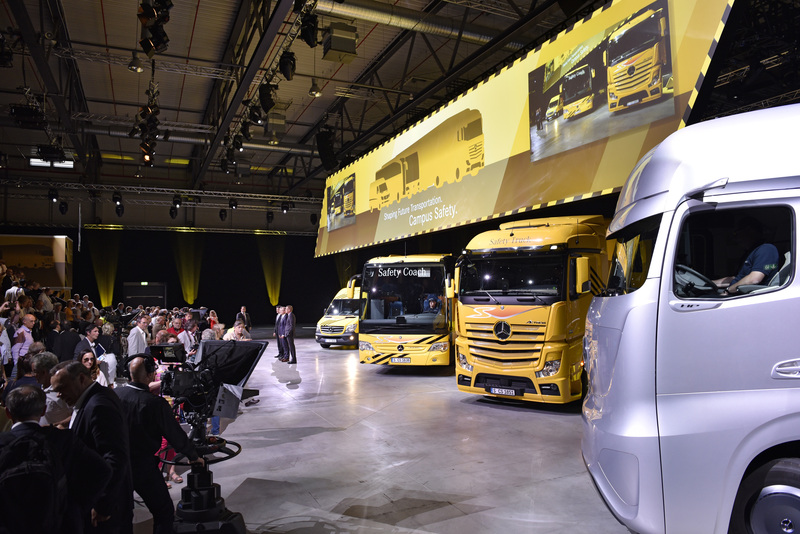 The aim was to position both trucks as high-tech products and to generate broad positive coverage of the new vehicles in the European trade media. An important focus was on communicating the in-house competence of Mercedes-Benz Trucks with the "Manufacture Molsheim". 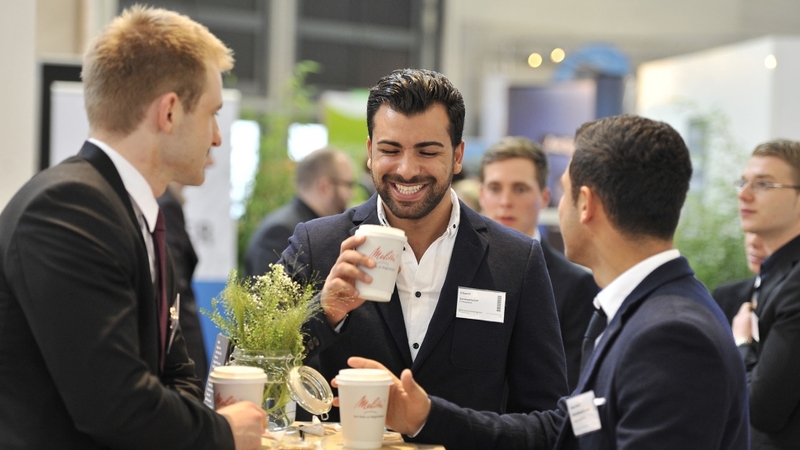 Since 2013, the owner-managed group has been presenting itself at the German graduate congress in an inviting, modern and aesthetically sophisticated ambience concept. Each year, high-quality frameworks are created for the transfer of information about the group's history, communication orientation, products and brands. 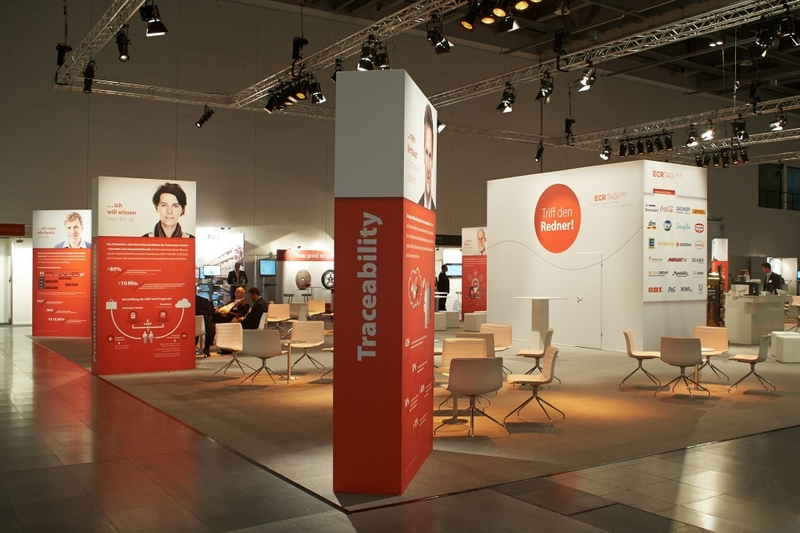 In addition to recruiting measures, the trade fair stand was also used for sustainable image transfer. 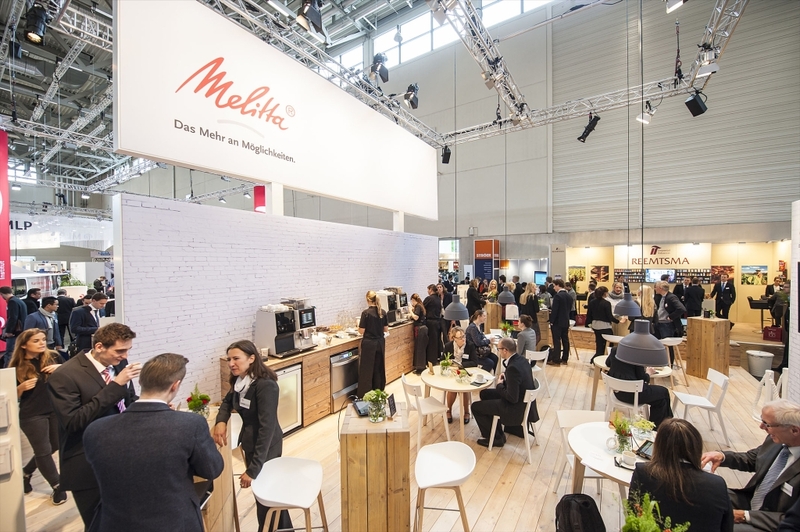 From urban city cafés to stylish flat-sharing communities, [mu:d] repeatedly stages surprising Melitta HR touchpoints with the company's potential new employees. Since 2003 GS1 Germany hands out the ECR-Award. 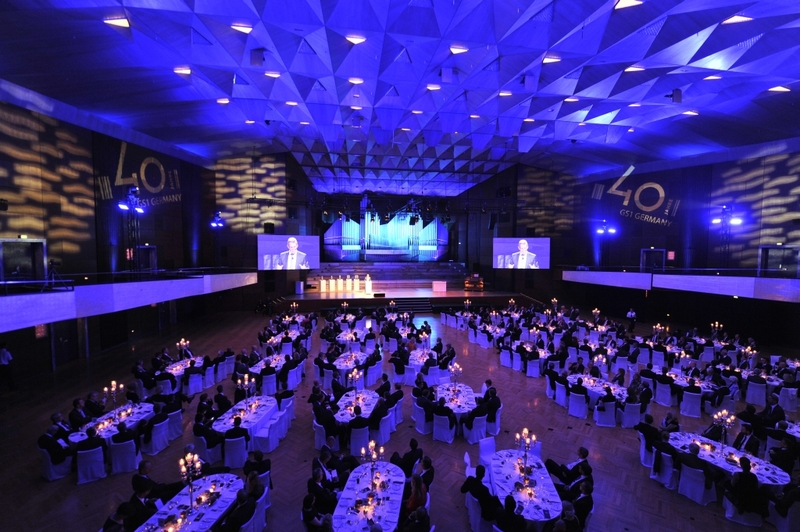 An exclusive and highclass gala event with 400 guests from the top management of leading industrial and commercial entreprises. The ECR Day is the largest German industry meeting of the consumer goods industry on the subject Efficient Consumer Response hosted by GS1 Germany. Industry experts and decision makers from industry, trade and services meet at the two conference days. The focus of plenary lectures, forums and exhibitions, is to align the entire value chain with the needs of consumers. Also renowned guest speakers from politics, science and social media present their positions and visions. 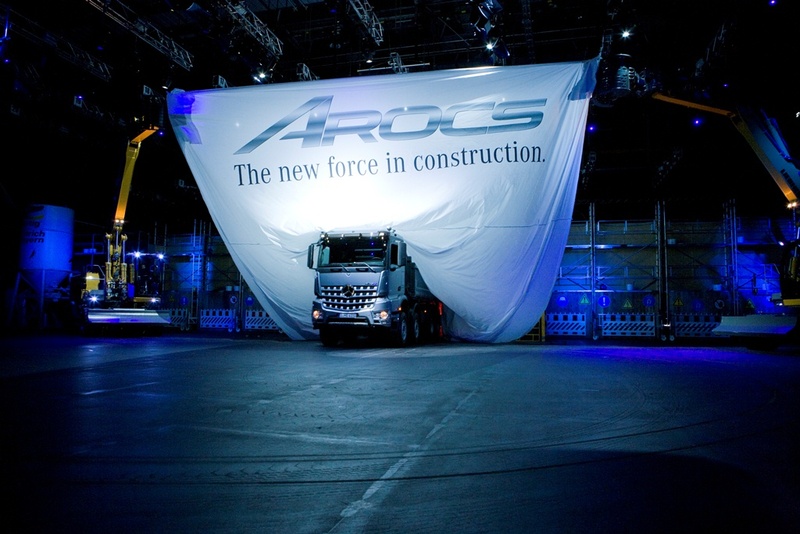 At the Rheinkalk-factory in Dornap the press drive presentation of the new Mercedes-Benz Arocs took place. 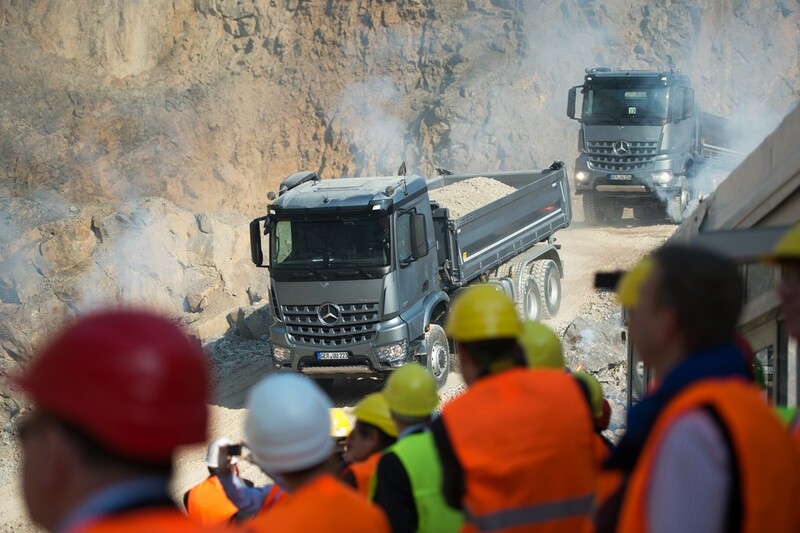 For 14 days international groups of journalists arrived daily to test drive the new Mercedes-Benz Arocs on three different test drive routes. 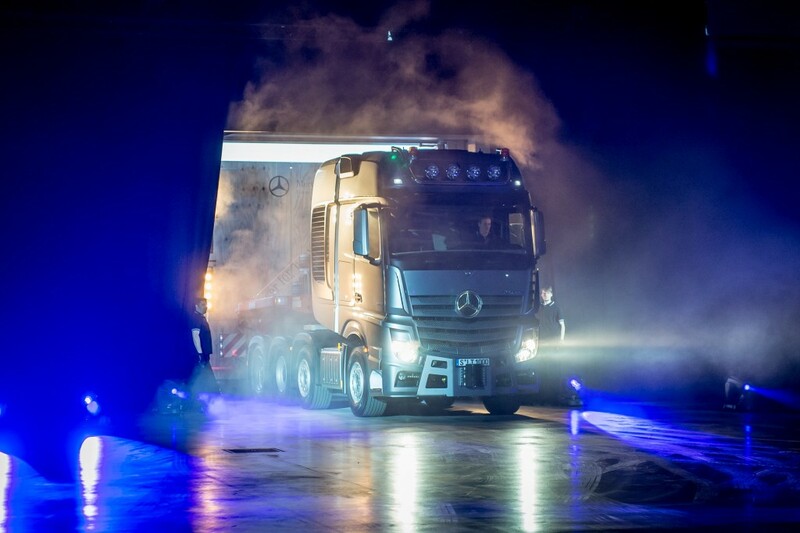 Before each test drive cycle the new heavy construction truck was presented in a spectacular staging. 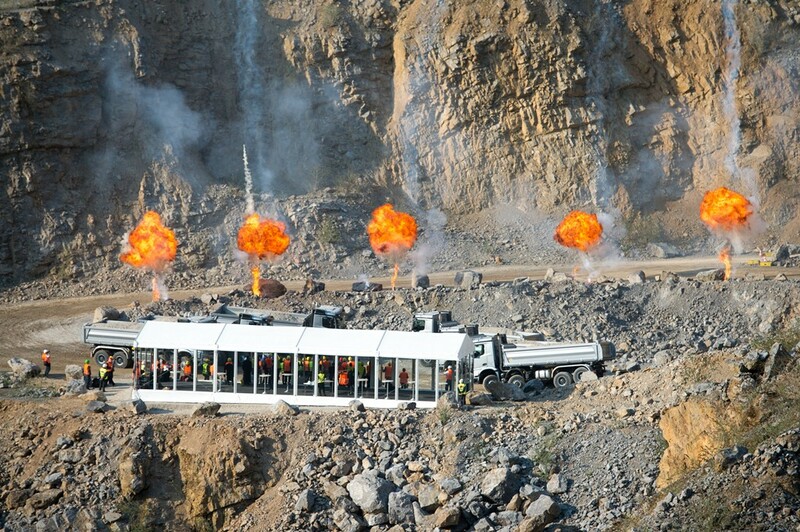 It took place in an unused part of the gravel pit with pyro technics and music. 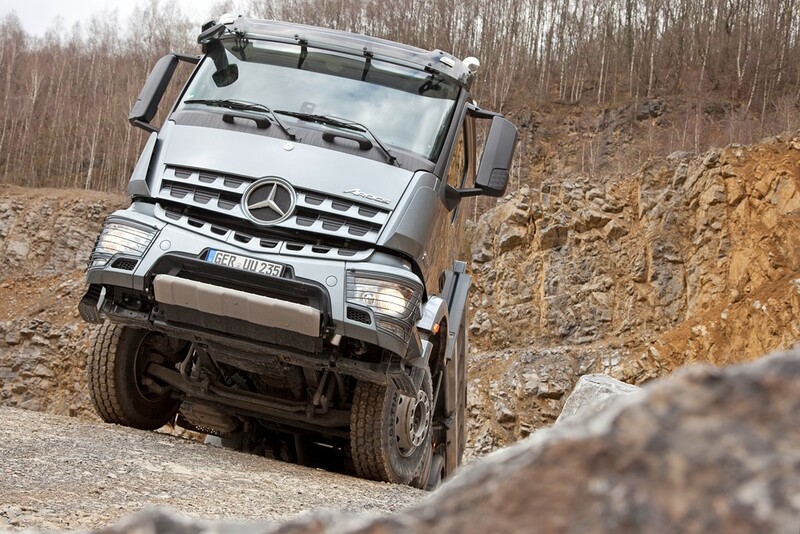 All this impressively demonstrated the formidable capabilities of the new Mercedes-Benz Arocs. The launch of the new Mercedes-Benz CLA: young, dynamic and unadapted he stands out from the crowd. The advertising campaign specifically addressed the postmodern audience, people critical of advertisement. In order to convince the target audience of the CLA, their attention needed to be caught right at their individual interests. Therefore, the task was to create events that are adequate for both, brand and target group. The requirement: to invent an innovative form of photo exhibition. 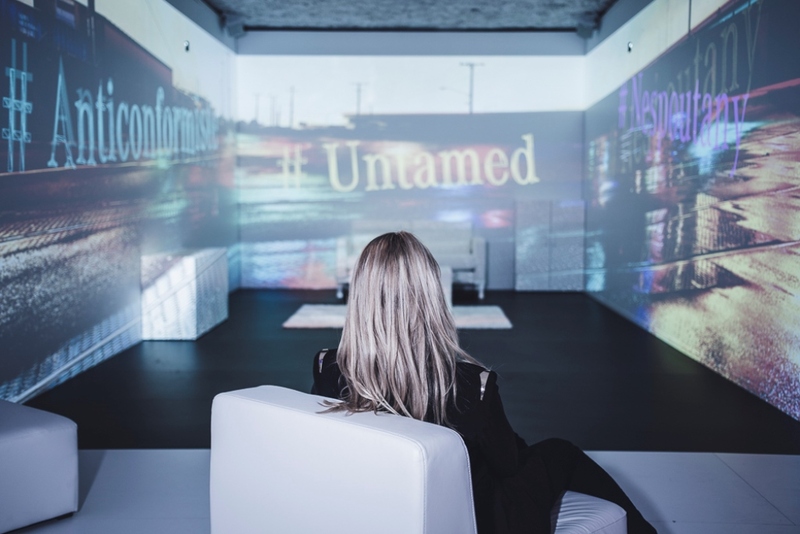 The installation needed to be technically innovative and designed emotionally grasping, leading the viewer to interact with its content and its room structure. Conception and realization of a national roadshow in 15 German cities within 5 months. Core piece and eye-catcher was the DS-Cube. A puristically designed platform, arousing interest and with long range effect in all lines of sight for the urban environment. The open architecture with ample and flexible branding possibilities was inviting to passers-by to come close and inform themselves. 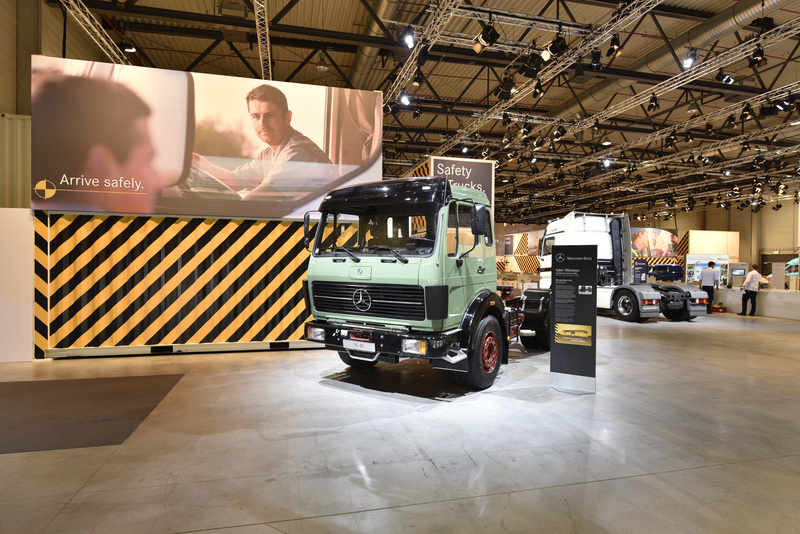 On the eve of the official opening of the commercial vehicle IAA the Daimler Corporation invited 400 international journalists of the specialized and economical press to a press event on the fair booth. 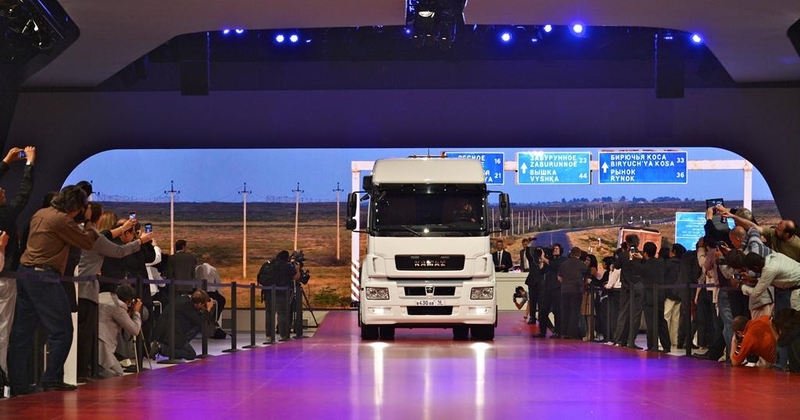 “Global Excellence”: Implementation of an international brand reception line of global product novelties and existing best-selling products of Daimler trucks, buses and vans. Also there was a dialogue product presentation by Jan Stecker and Andreas Renschler. A booth reveal with light staging ensued. The 125th anniversary of the invention of the automobile is primarily the anniversary of Daimler and Mercedes-Benz. This was celebrated with a large ceremony in the birthplace of the automobile, Stuttgart. 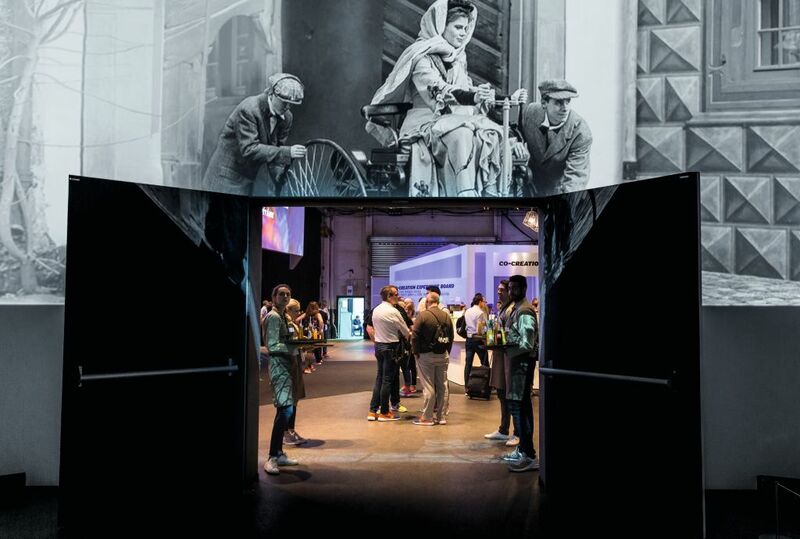 Via the main entrance of the Mercedes-Benz Museum, 1,400 top-class guests reached the Mercedes-Benz branch office in Stuttgart via an organically designed video time tunnel with company history. 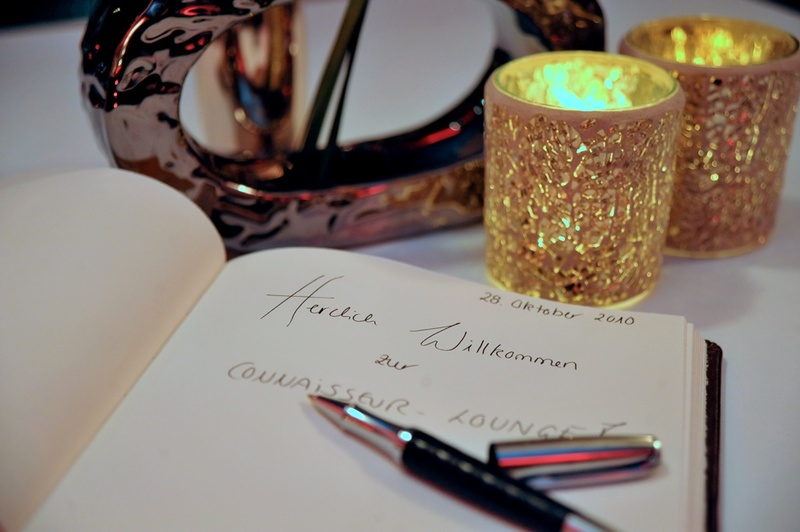 The guests of honor on this evening were Dr. Angela Merkel, Chancellor of the Federal Republic of Germany, and Stefan Mappus, then Prime Minister of the State of Baden-Württemberg. Franz Beckenbauer, Boris Becker, Jogi Löw, Edwin Moses and Niki Lauda also accepted the invitation to the anniversary of the automobile. 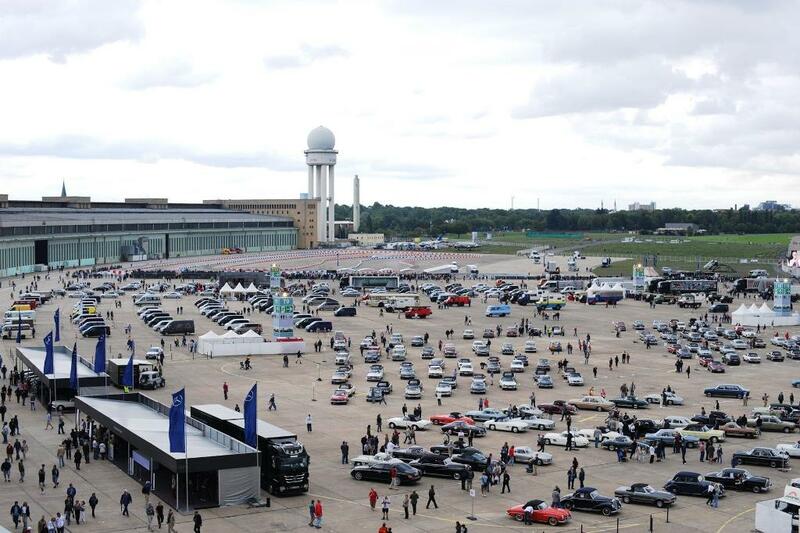 International Mercedes-Benz convention at the Berlin-Tempelhof airport on the occasion of the 125th anniversary of the automobile in cooperation with the official Mercedes-Benz brand clubs. On two days more than 200,000 visitors came to the 250,000 sqm event venue. The visitors had the possibility to experience historical milestones, innovative mobility concepts and the entire present portfolio in dynamic car presentations as well as static exhibitions up close. 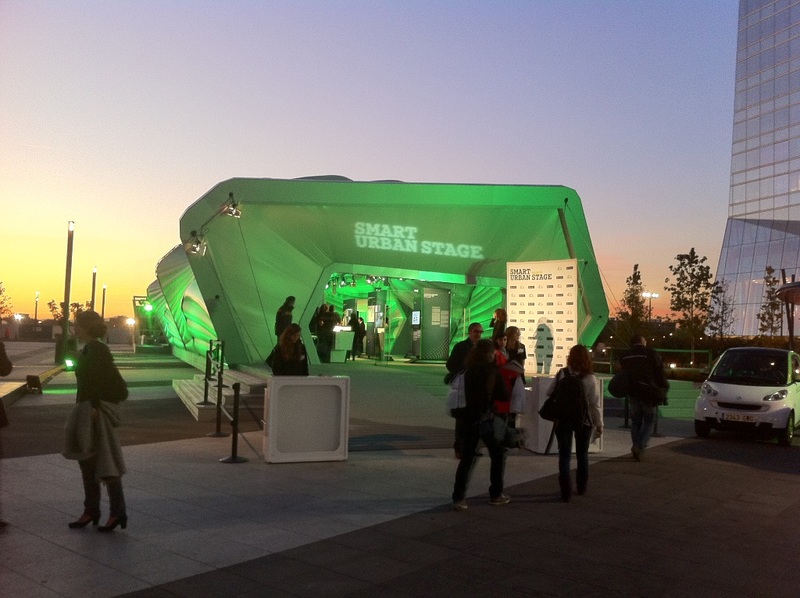 The core piece of the event was a 35m wide stage with LED-back drop for interviews and musical acts. 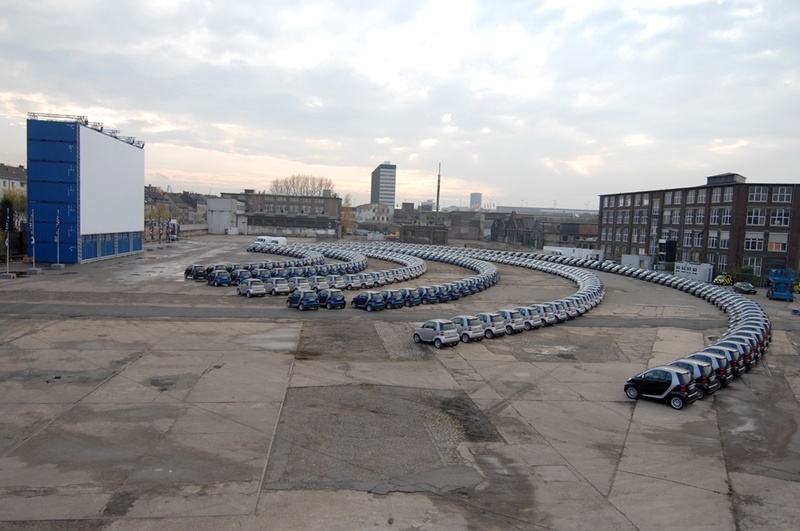 A logistical tour de force made it possible to position more than 2,200 vehicles from all over Europe within only 16hrs. The event was kicked-off by a press conference on the second to last day of build-up, which only lasted 4 days. The main thought of this dramaturgy: Whatever society required in the realms of transportation – it was always the truck, which shouldered the task. 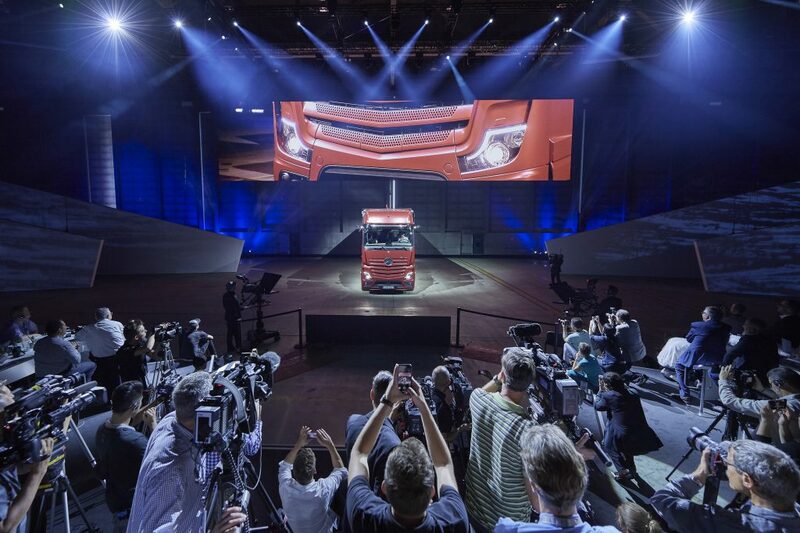 The reveal began gently – softly the first truck of the world by Gottlieb Daimler chugged across the stage – and increased in speed quickly: all historically relevant generations of heavy trucks by Mercedes-Benz of the last 115 years ensued. Large-scale video mappings on the freight containers interacting with the driving trucks visually supported the choreography of vehicles. Shown were picture and type projections from the past decades of truck transport. 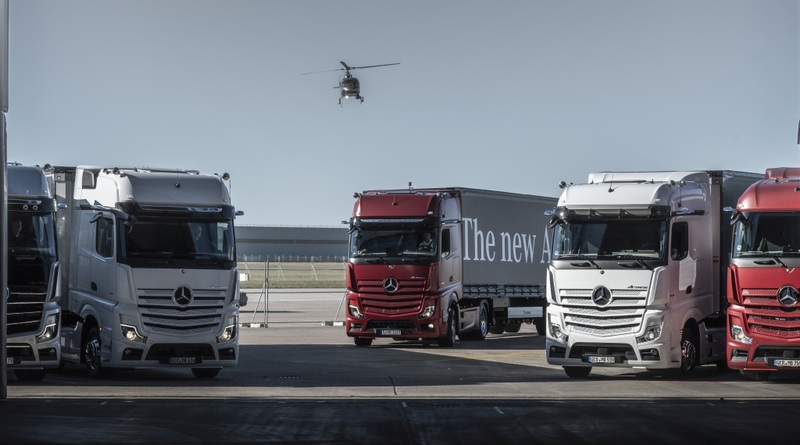 Scene by scene it became clearer how Mercedes-Benz trucks performed aptly for every task asked of it by politics and society – and which convincing answers the new Actros has for the present demands. On the Schlossplatz in the middle of downtown Stuttgart Mercedes-Benz thanked the citizens with special attractions for 125 years of successful car history. 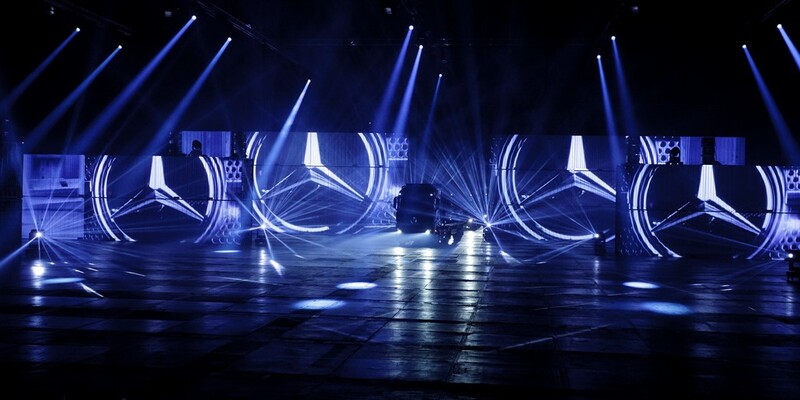 In a specifically produced, temporary two-story venue Mercedes-Benz invited to a car exposition of a special kind. 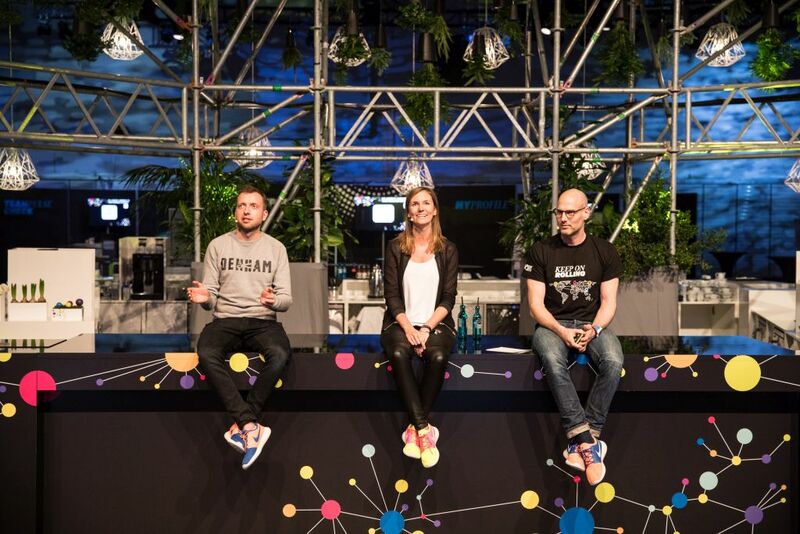 Besides presenting technologies of the future there were trend talks with Joachim Löw, Nico Rosberg and Norbert Haug giving insights into the future of mobility. Communicative support for small series start of the smart electric drive until the launch of sale of its series production. smart positions itself as a pioneer with the only real electric vehicle. Development of a logistics concept, location scouting, organization and implementation of the kick-off event in Berlin, Cologne and Frankfurt. International event lead of the over-all project including coordination of the markets and local agencies in the European cities Rome, Zurich, Paris, Madrid, Brussels, Amsterdam, London, Barcelona and Milan. 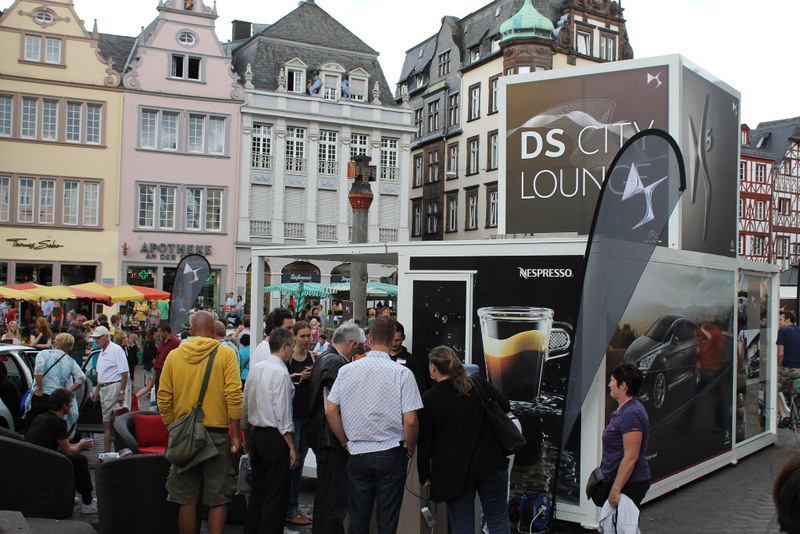 For their B2B customers, CITROËN Germany established the event platform "CITROËN Connaisseur Lounge". 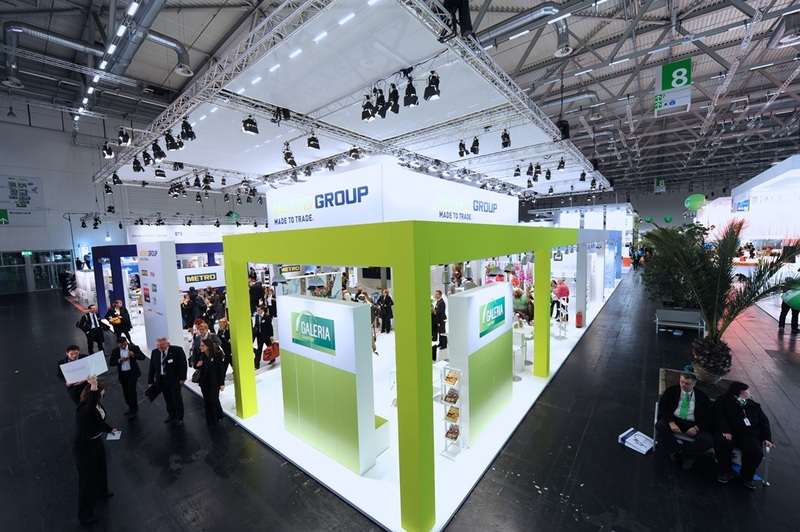 The events took place in unusual event venues and offered a platform for networking and brand presentations throughout Germany. The presentation of vehicle studies granted the guests a look into the future. Culinary highlights rounded off every night. 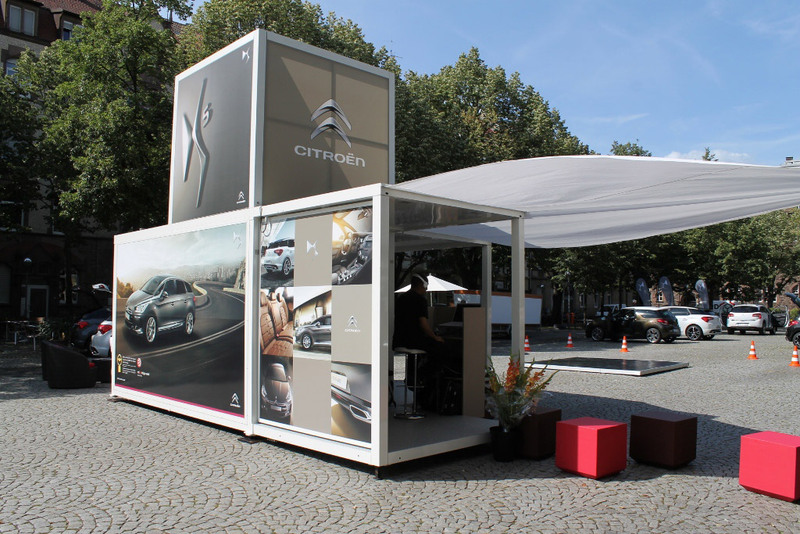 With the "Connaisseur Lounge", a CITROËN business community has been successfully formed. 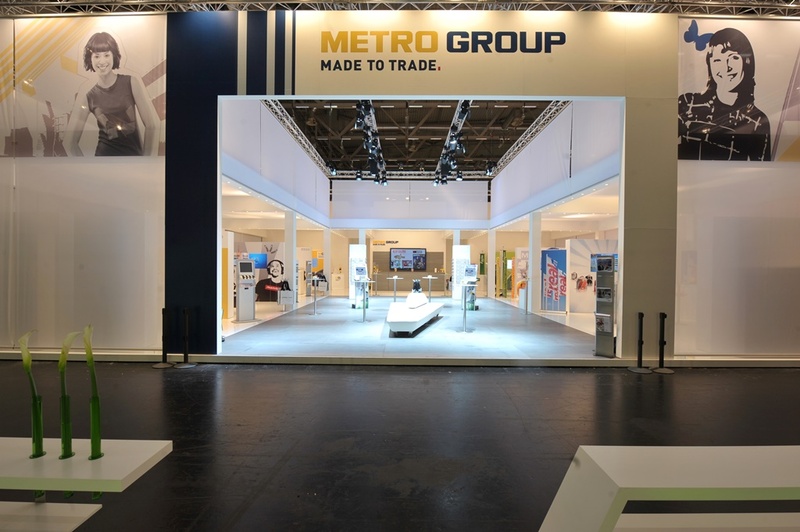 At the same time as „Meeting Metro“ the Metro Group presents itself with seven lines of distribution and cross-section corporations annually at the Stauffenbiel graduate congress in Cologne, Germany. 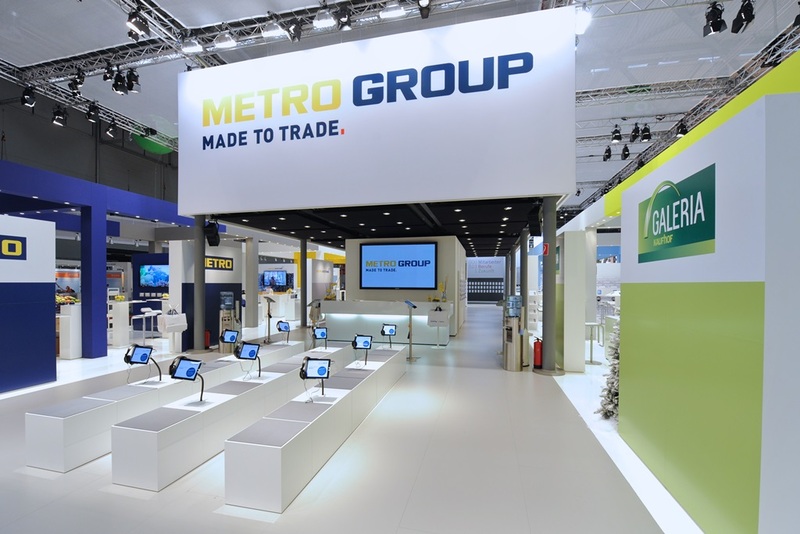 In order to be able to communicate with applicants, Metro Group created its very own event platform: “Meeting Metro”. Every year, ca. 800 students are invited to the information event „Meeting Metro“. In a big auditorium, the company introduces itself to its applicants. The auditorium is designed with a spectacular 180° multimedia projection. Well-known keynote speakers like Urs Meier or Rainer Calmund offer an additional value to the conference. Organization of an international celebration on the occasion of the 10th anniversary of smart. 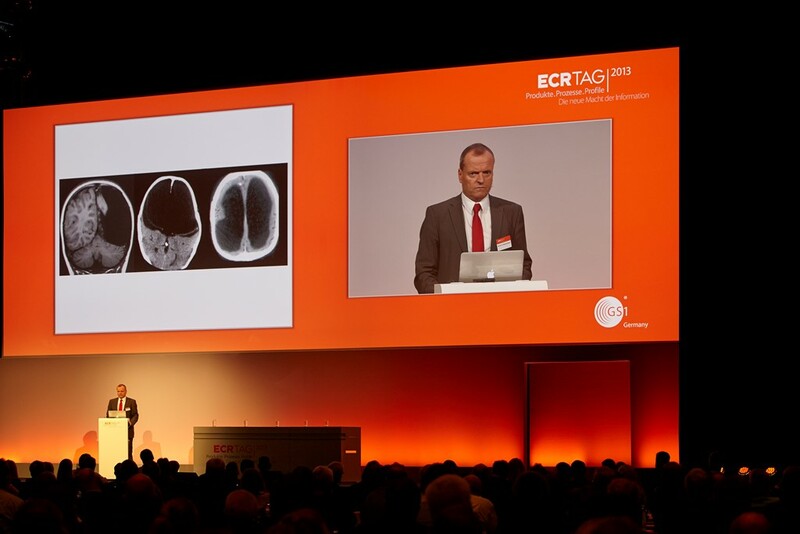 A total of 700 guests from all over the world came to Cologne. 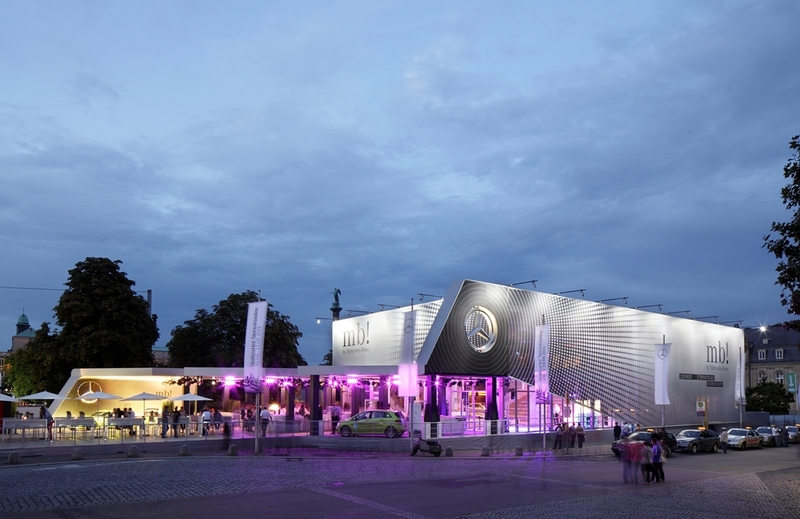 Construction of a temporary drive-in theater for 350 smart on a 20,000 sqm area in Cologne. Idea, concept and implementation of a smart anniversary film including synchronization into 5 languages. Organization of a motorcade from the drive-in theater to the gala location with all 350 smart. 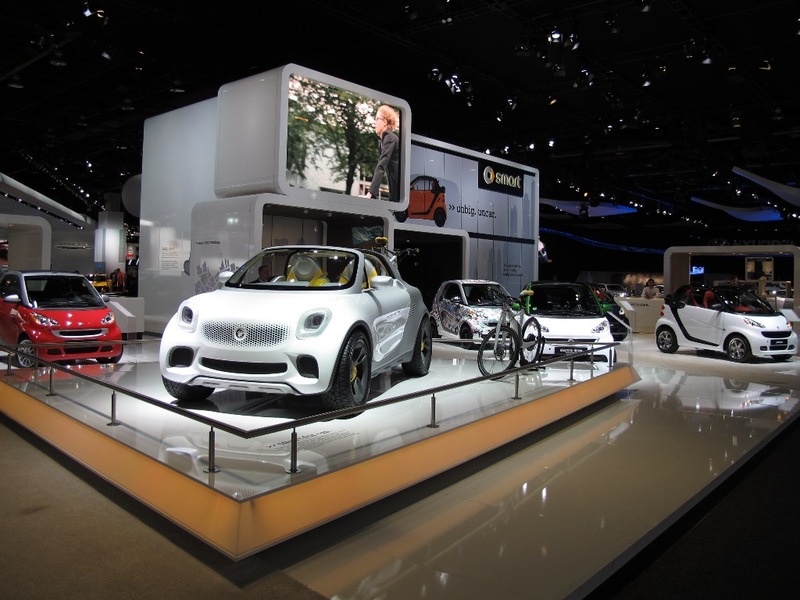 Idea and creation of the kick-off for the US-market launch of the smart fortwo. Set-up of an exclusive studio house in Venice Beach, Los Angeles, representing the center of the US American market launch. Detailed staging of the brand image by means of test drives, product consulting and a smart gallery. Organization of 30 events in the smart house in the fields of environment and climate protection, music, fashion, art and zeitgeist. 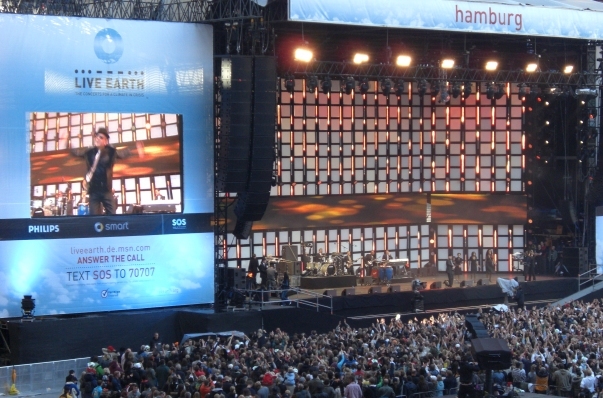 LIVE EARTH was a worldwide series of concerts, taking place on all seven continents for 24 hours following the example of Live Aid and Live 8. Like this, LIVE EARTH became the largest benefit and music event in history so far. Al Gore, the former US vice president and environmental activist once founded the project together with music producer Kevin Wall. Their aim was, to draw attention to global warming. smart as main sponsor of the worldwide event commissioned [mu:d] GmbH with the planning and organization of smart´s complete brand appearance in New York, London and Hamburg. There were 75.000 promotional articles per city produced and distributed by over 100 promoters. In addition, 18 live percussionists performed in front of the stadiums. 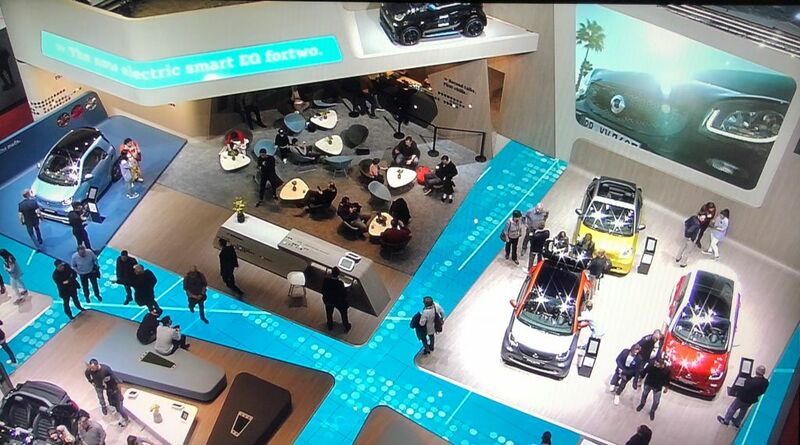 World premiere of the new smart fortwo in Stuttgart for 1500 international press-guests and dealers. 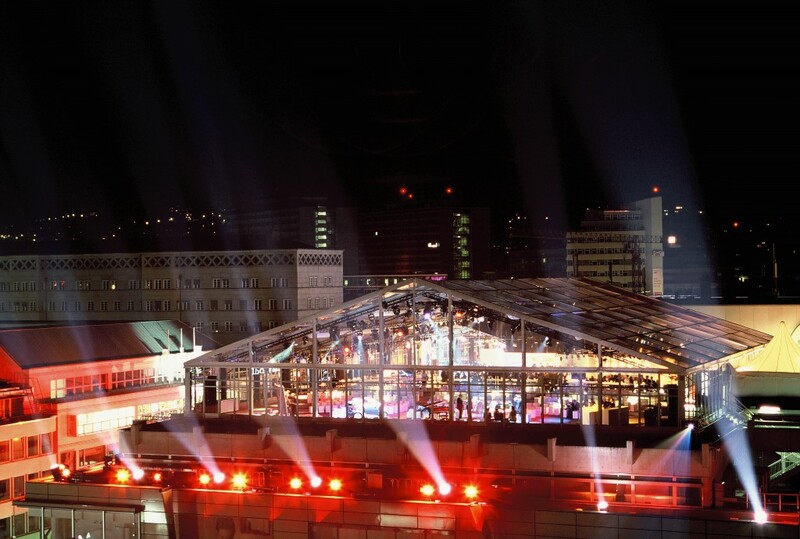 [mu:d] as the lead agency for the organization and realization of the three-day event was responsible for the design, construction and scenic implementation of a gigantic steel-and-glass structure over the rooftops of Stuttgart, on the top parking deck of the Galeria Kaufhof. Shuttle through the parking garage, that was branded with smart activity and exhibit spaces. Spectacular reveal of the smart fortwo with an unobstructed view of the city skyline. 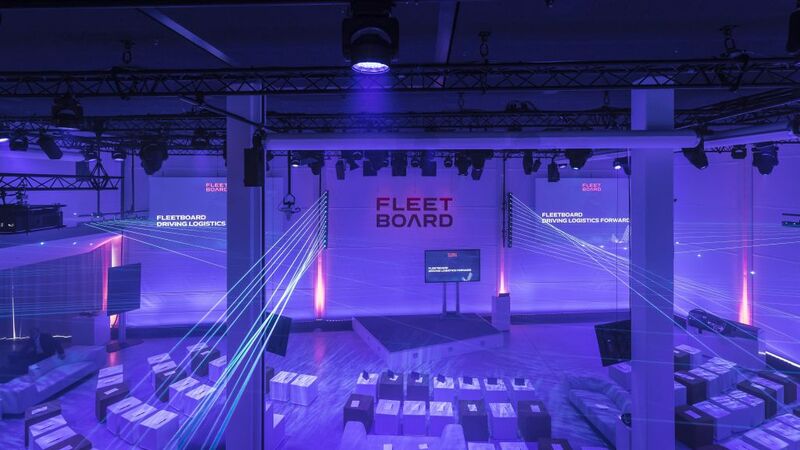 To start the year, CITROËN Germany regularly organizes a conference to inform the German dealer network about upcoming sales and marketing activities. Current vehicle models are presented - premieres for the German market are the highlights. Realization of video technical arrangement and technical support of the smart fair booths on the world-wide most important automobile trade shows Detroit, Geneva, Shanghai and Frankfurt. 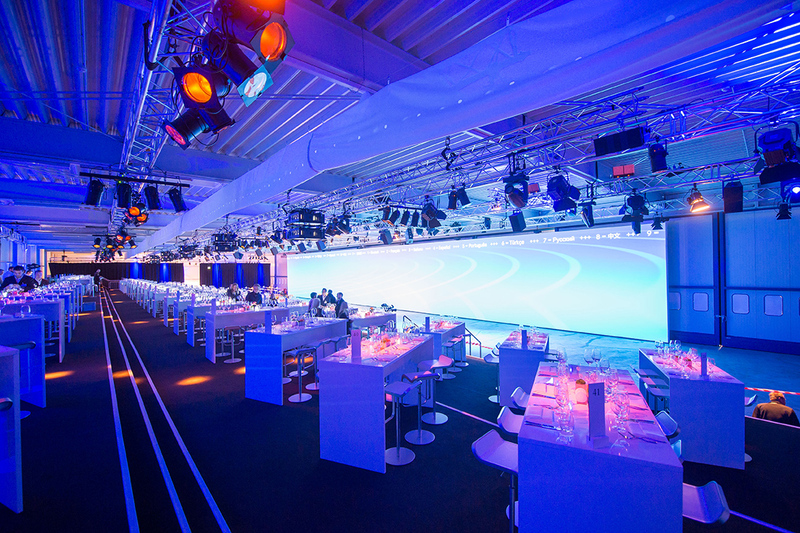 High-definition LED video walls, large-scale plasma screens und frameless displays, as well as floor LEDs come into operation.